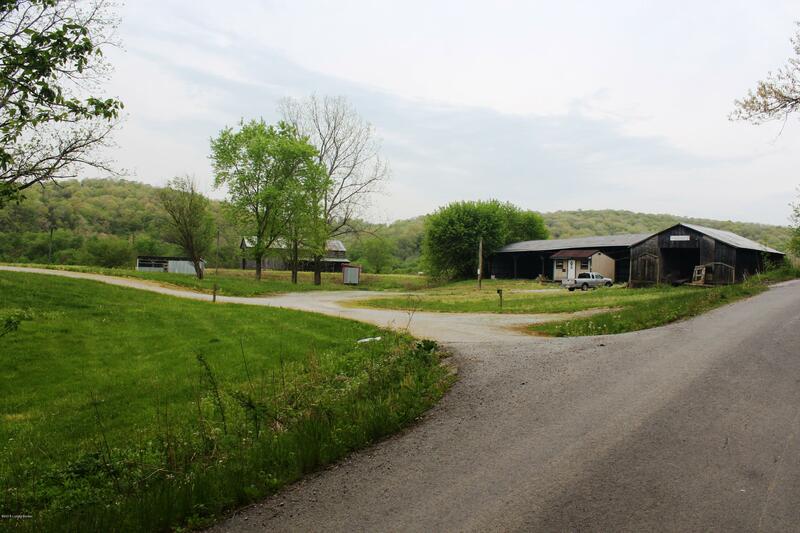 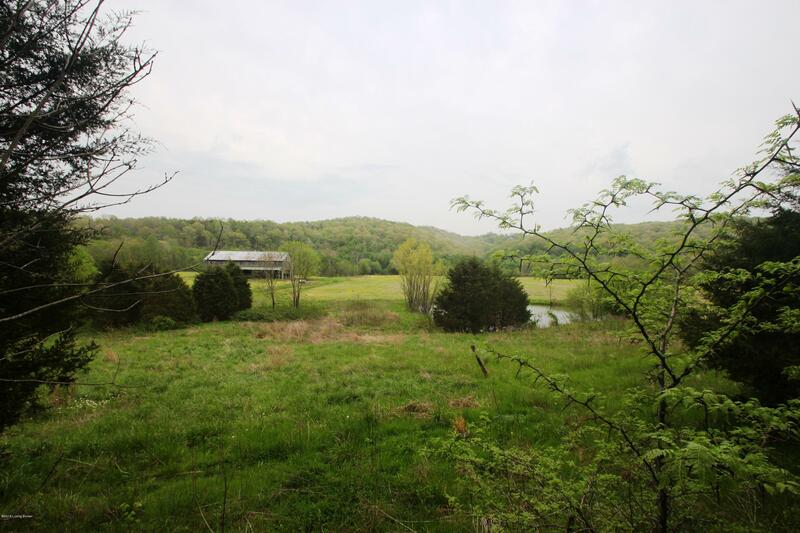 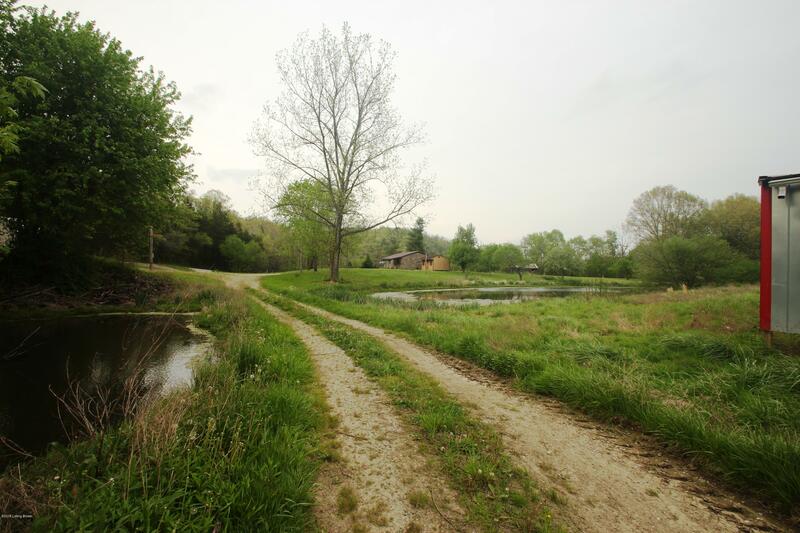 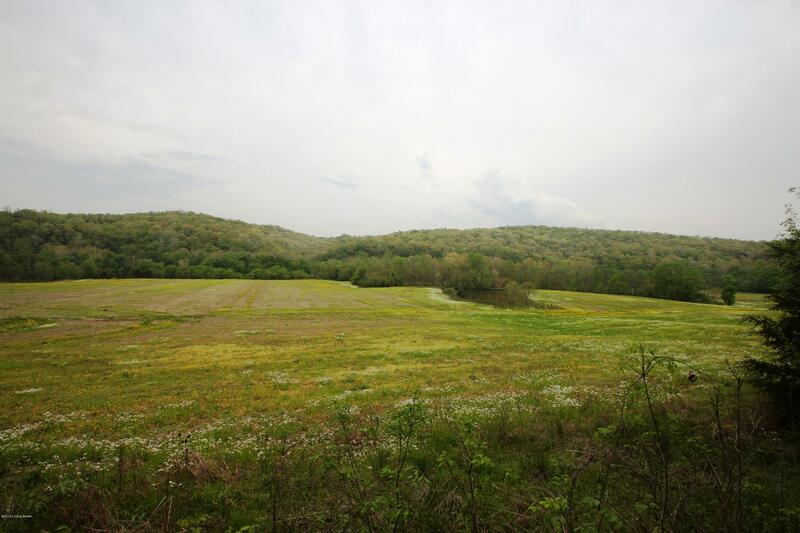 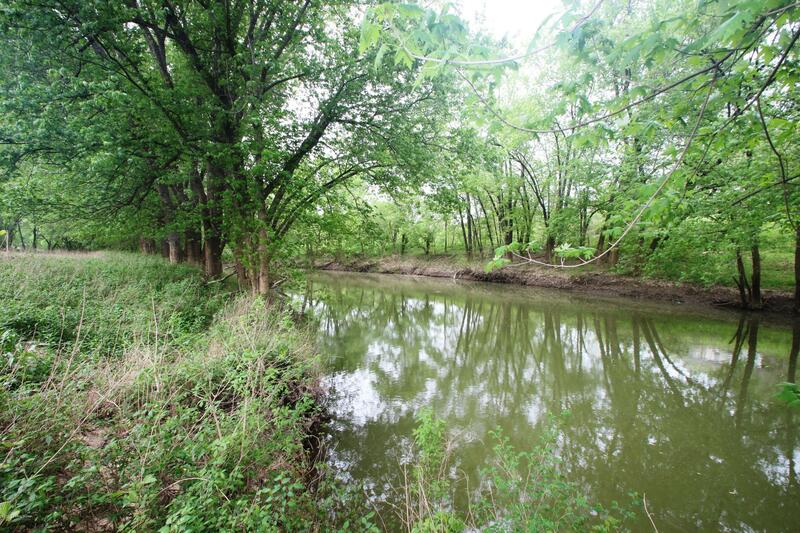 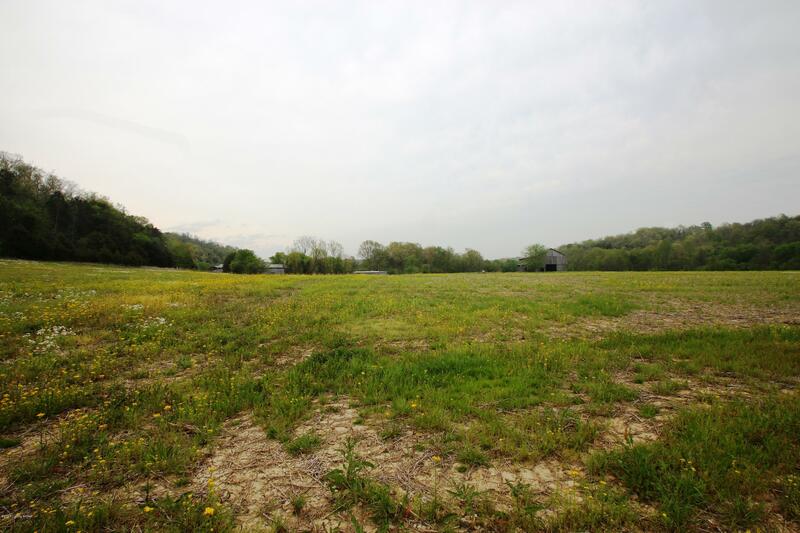 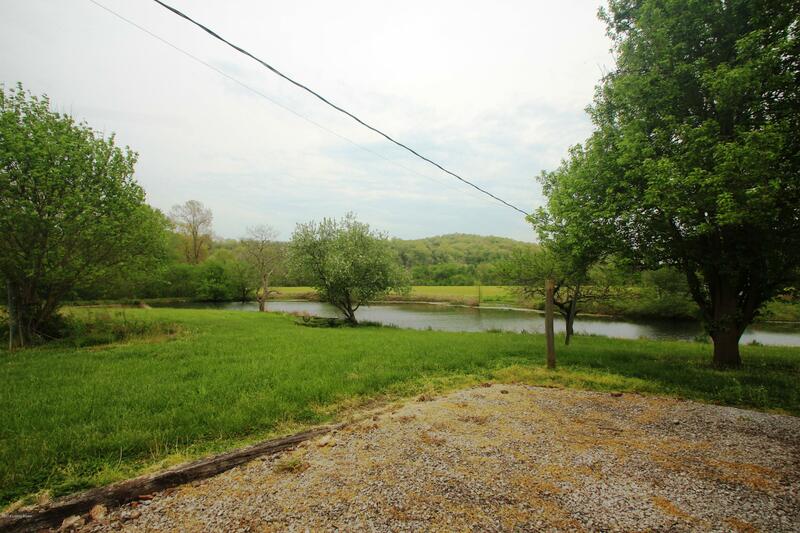 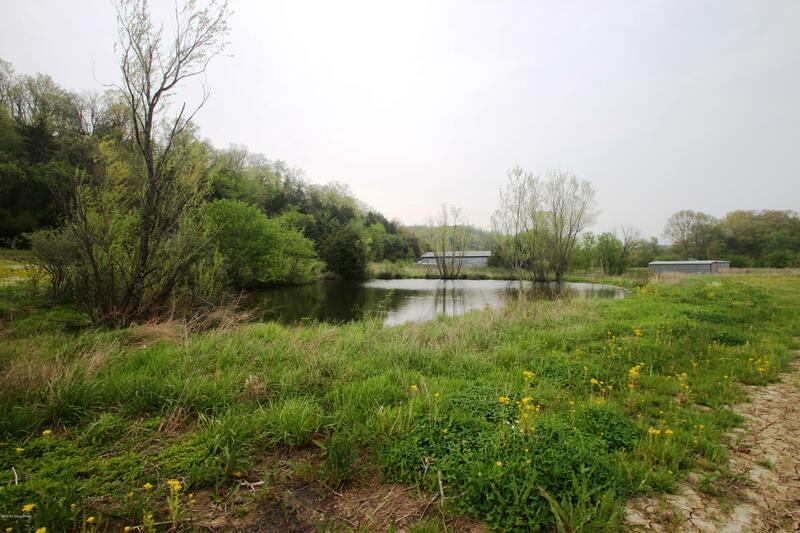 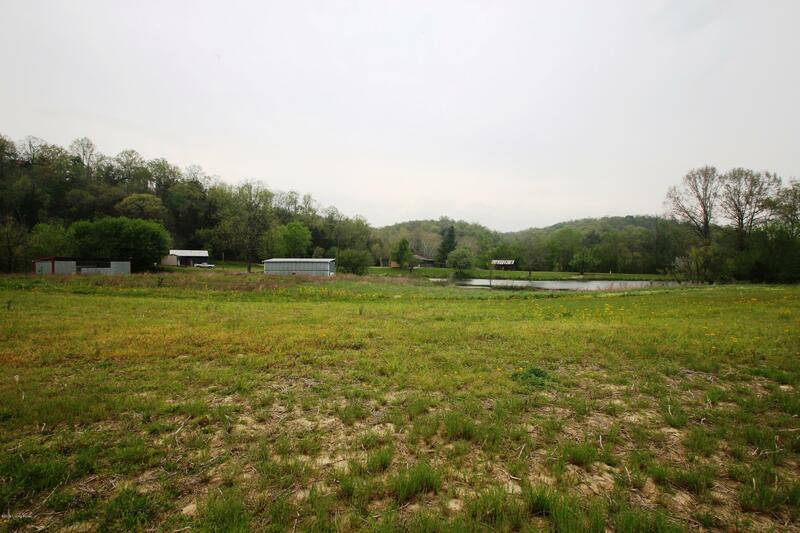 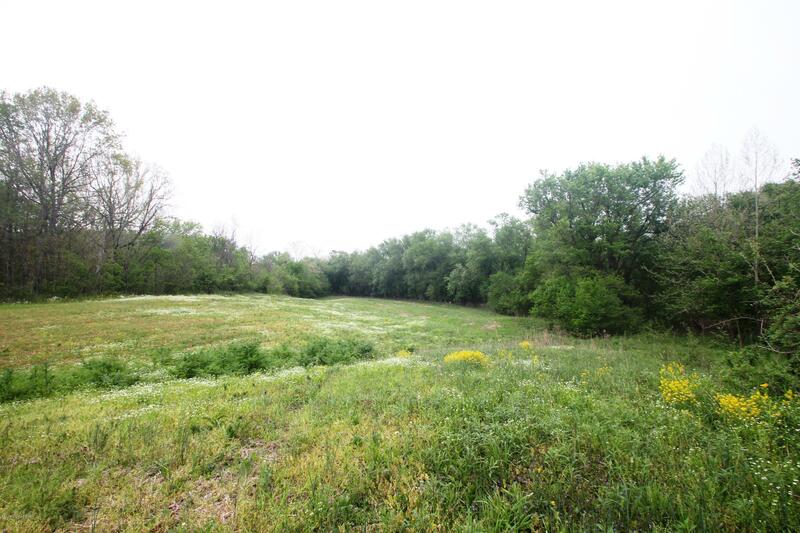 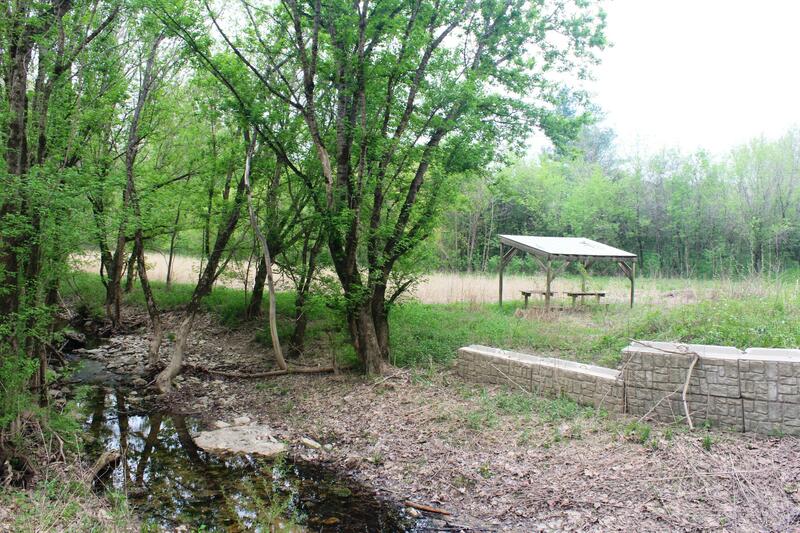 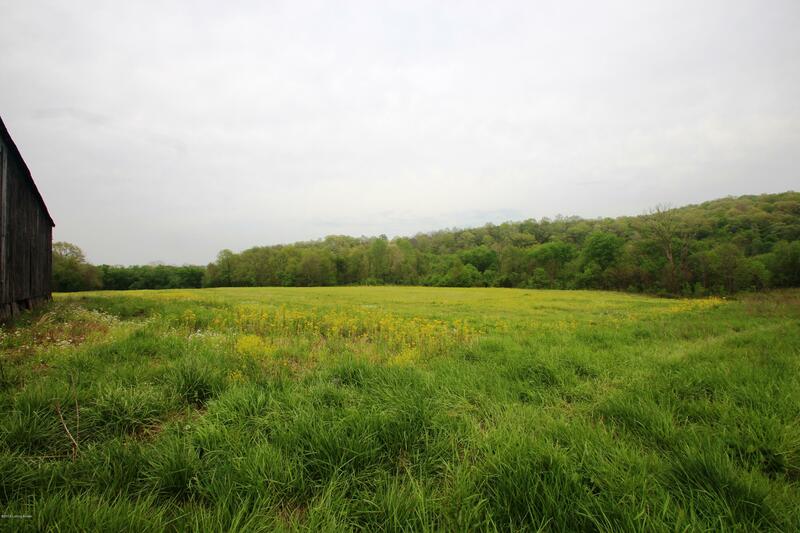 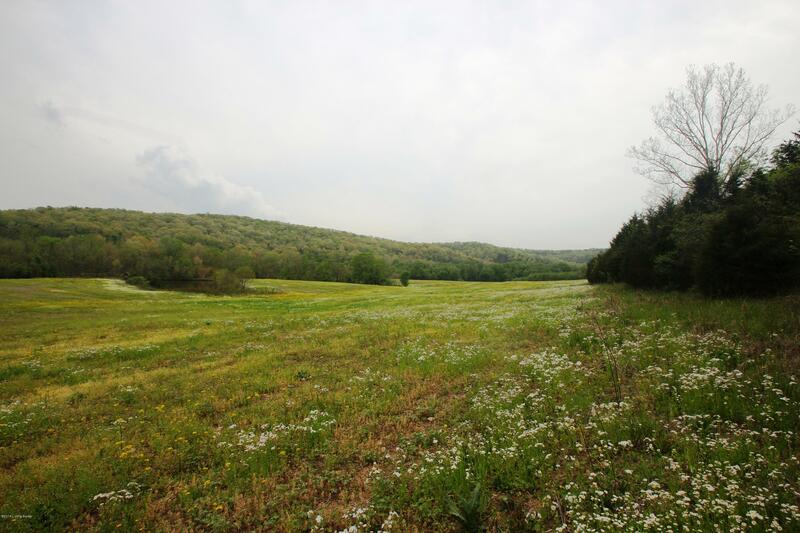 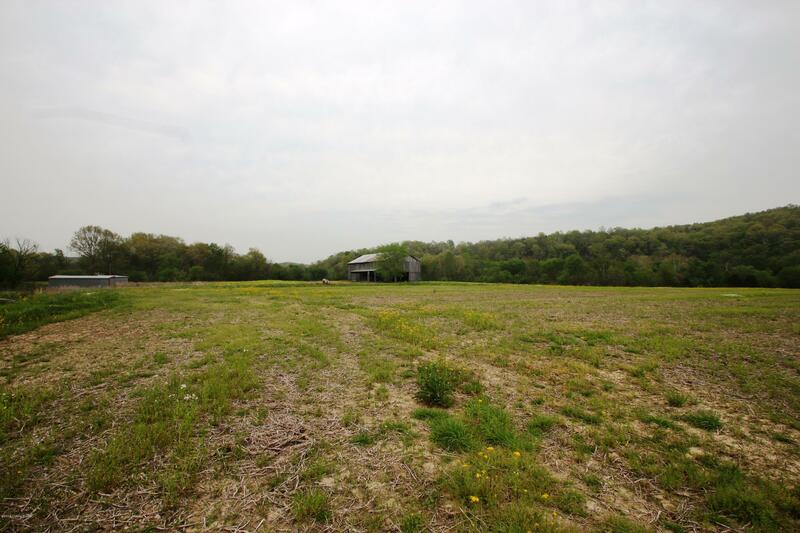 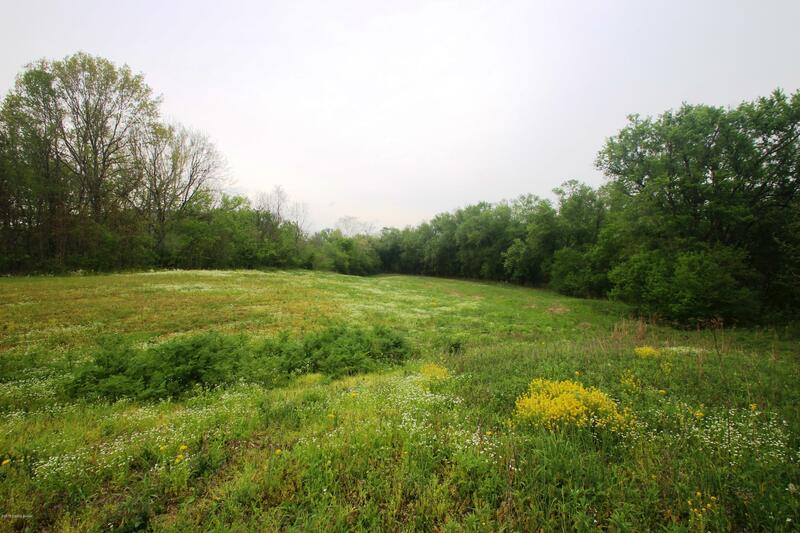 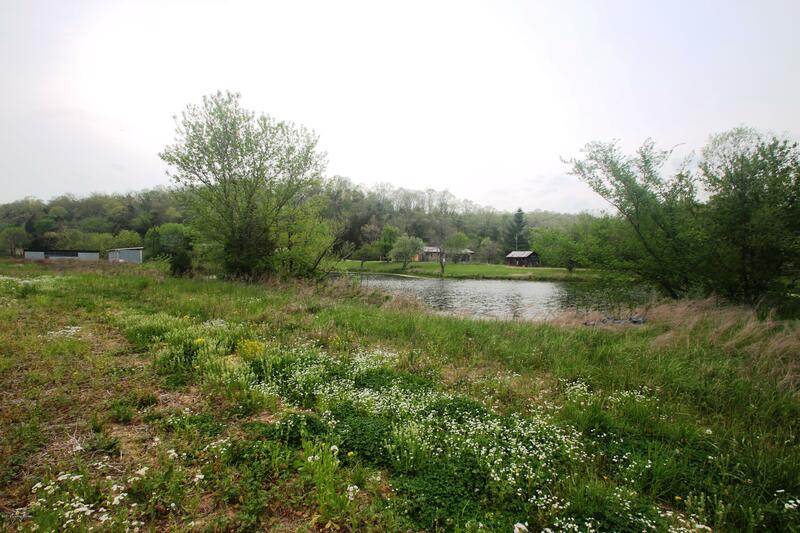 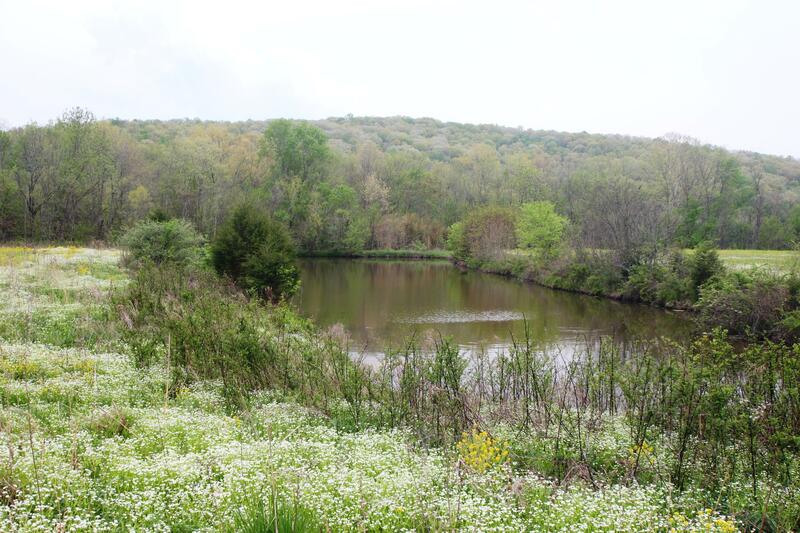 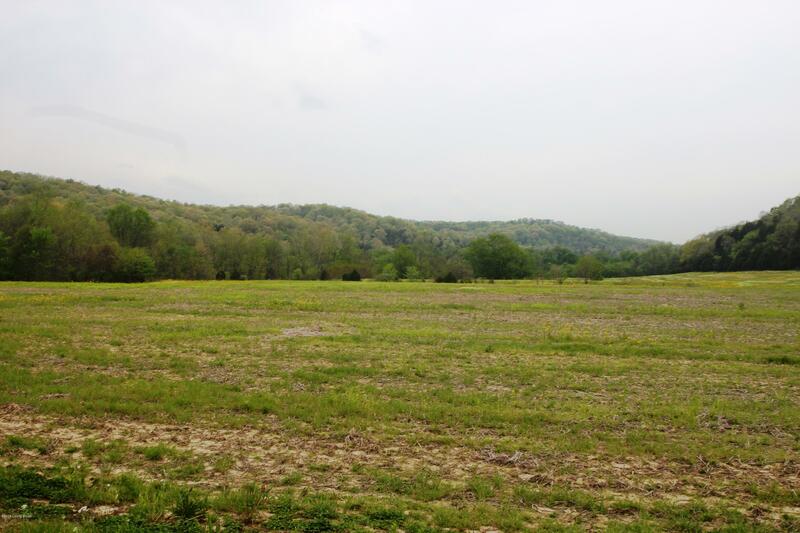 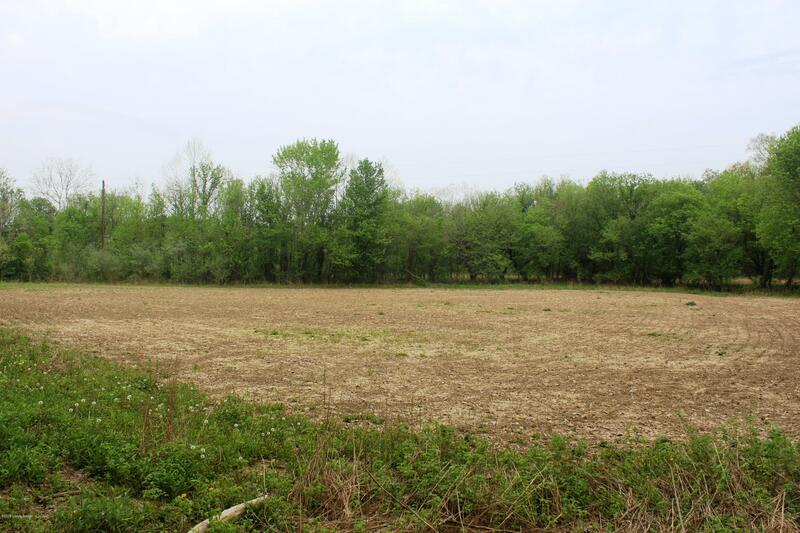 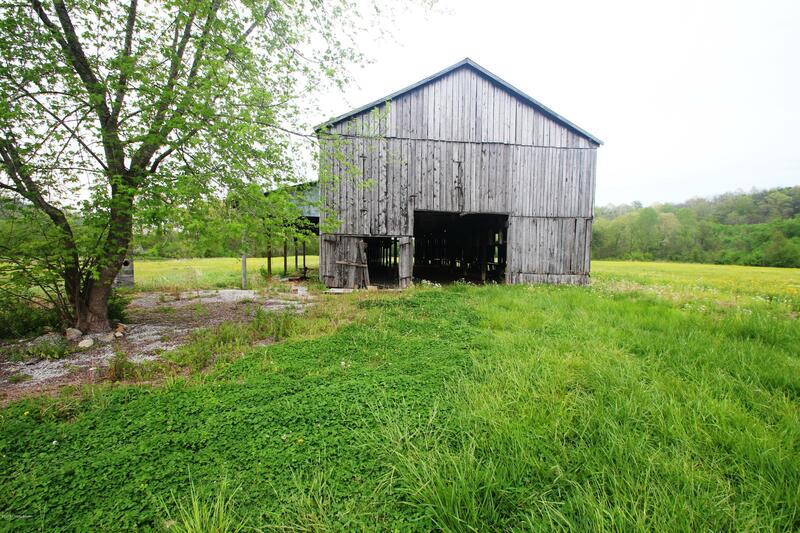 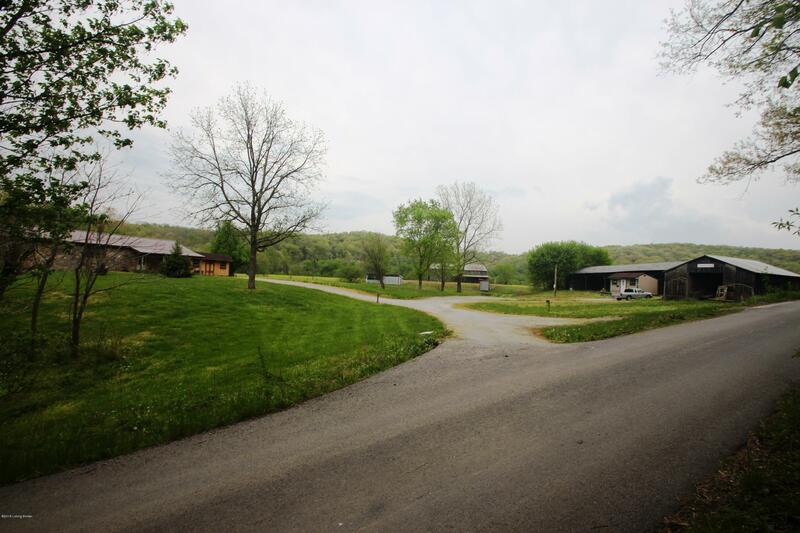 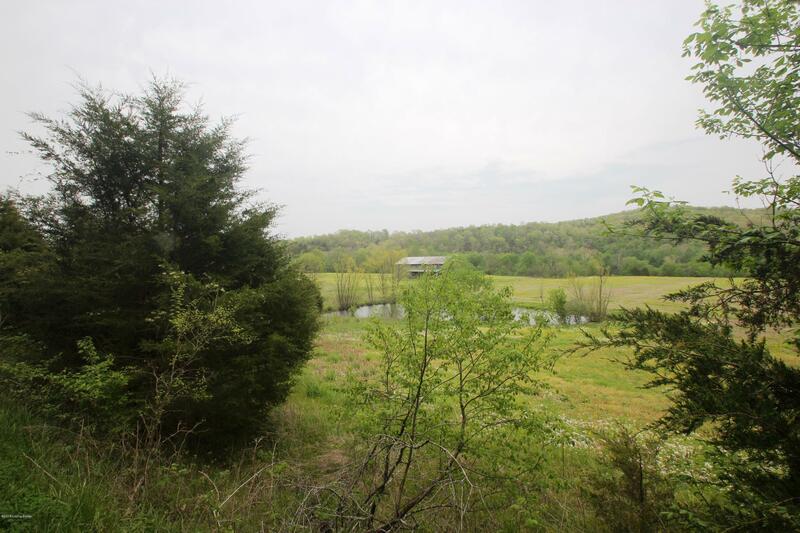 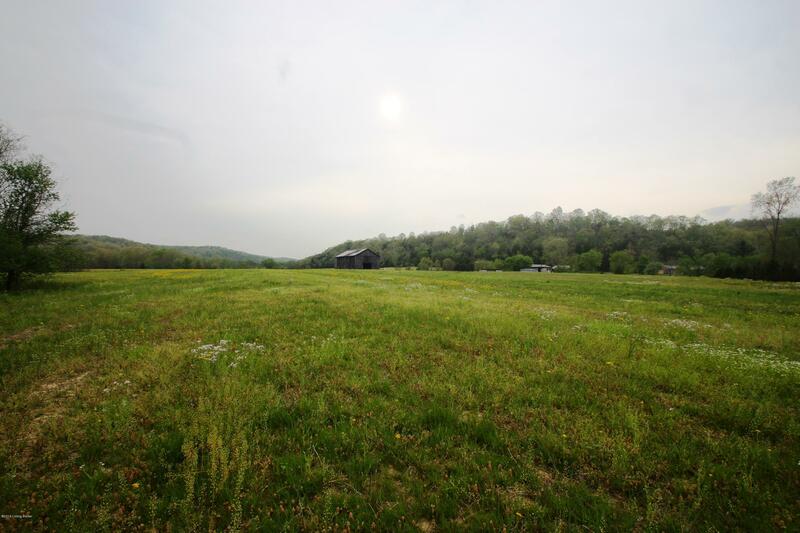 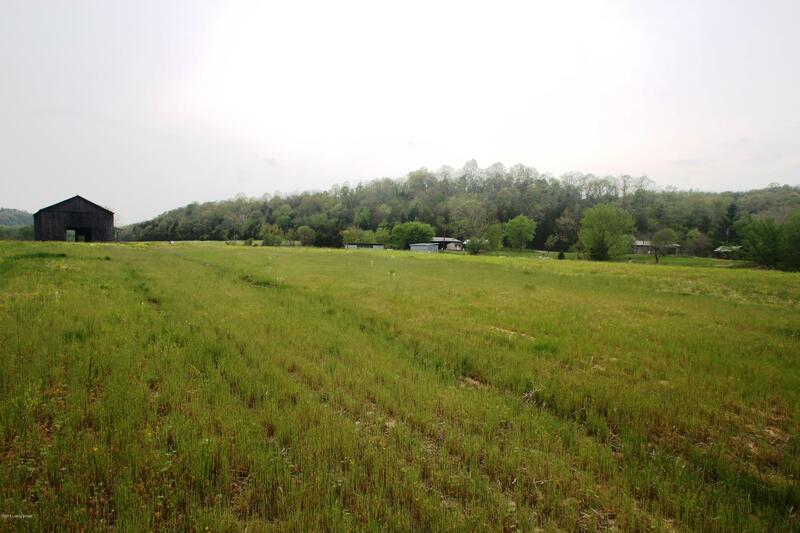 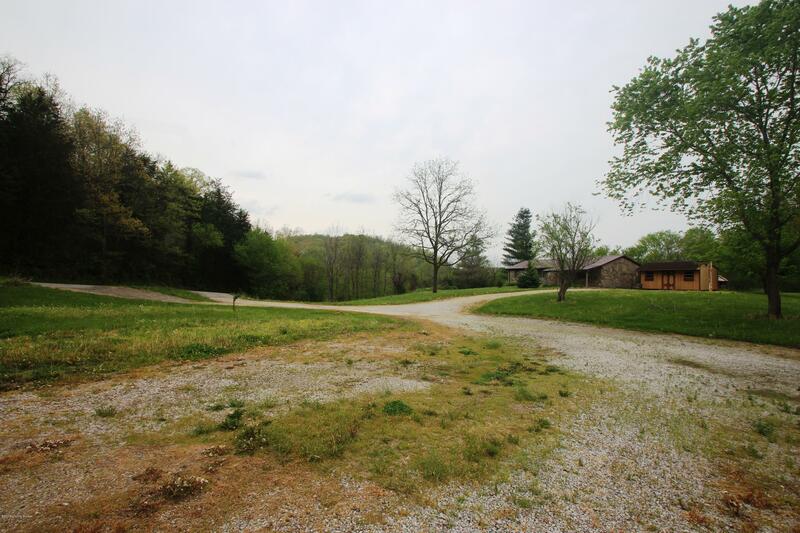 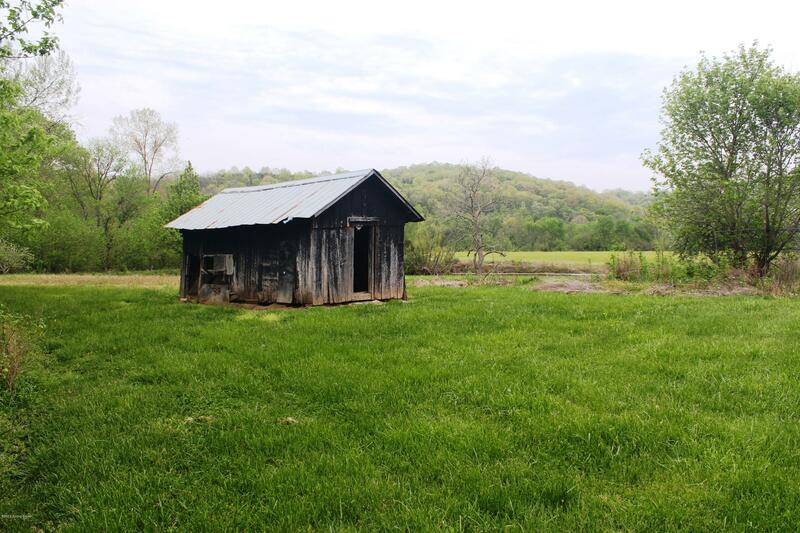 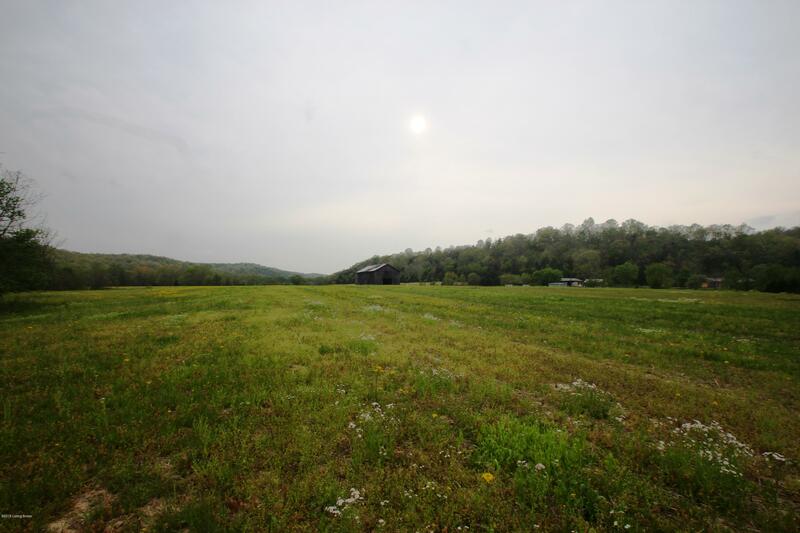 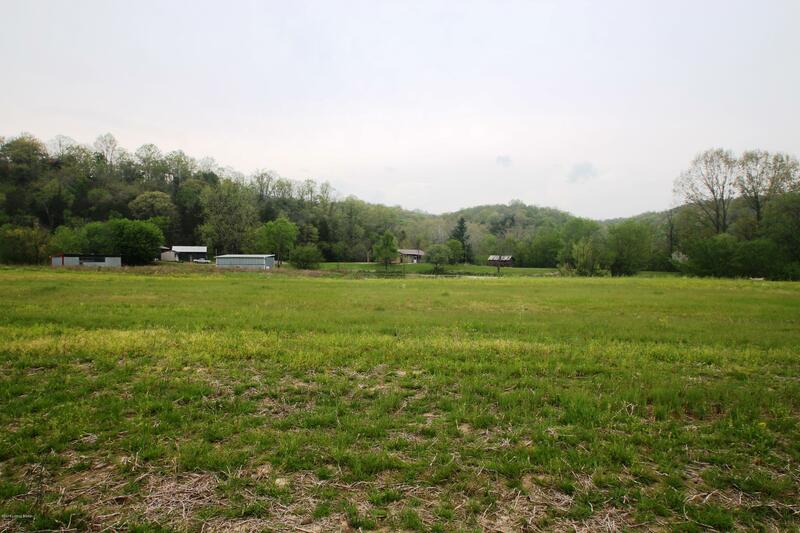 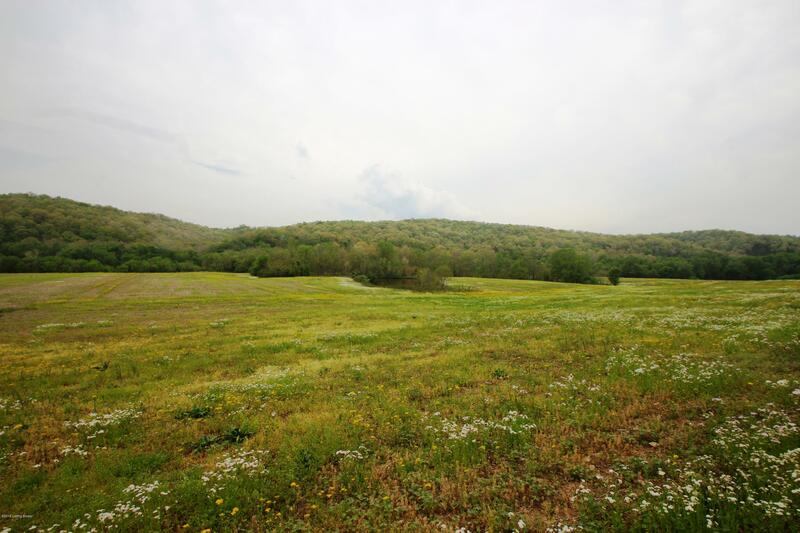 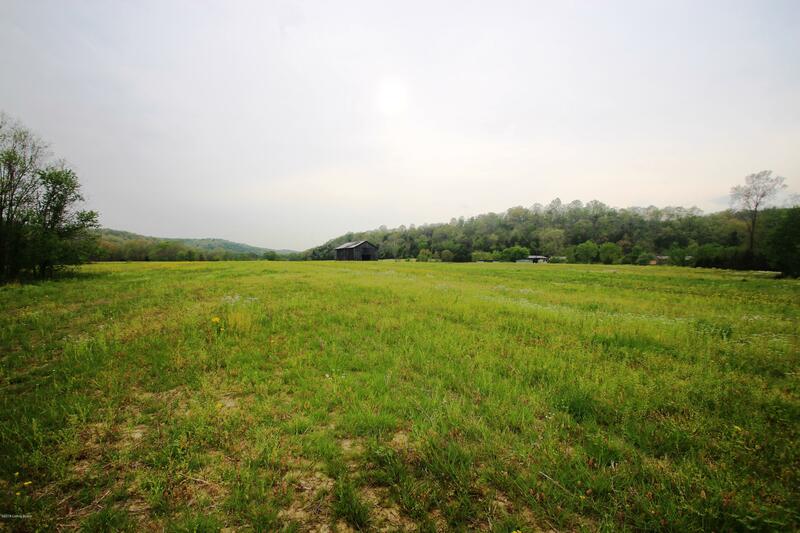 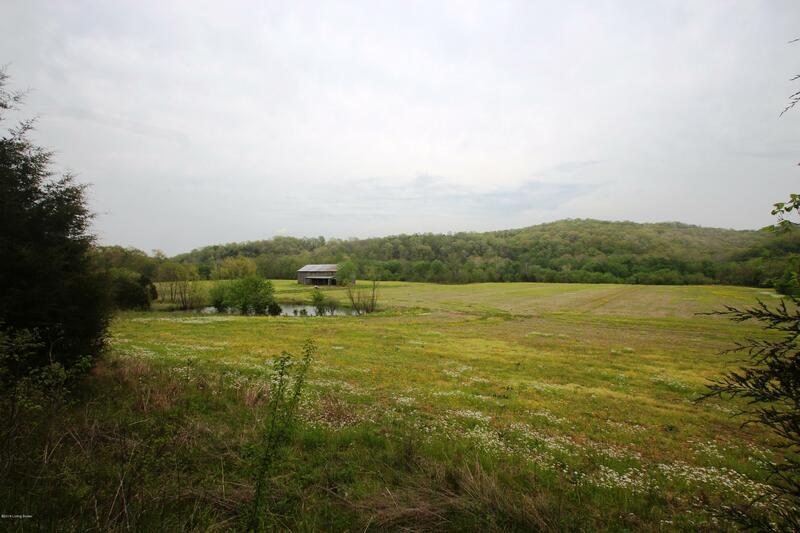 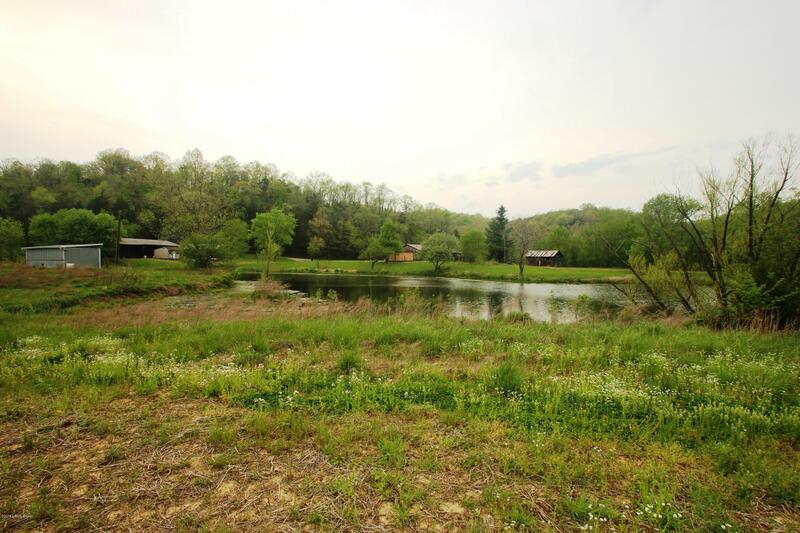 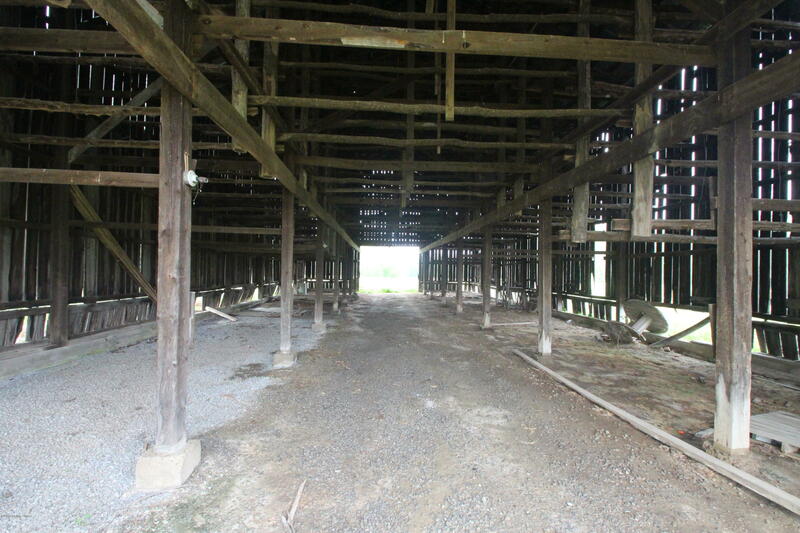 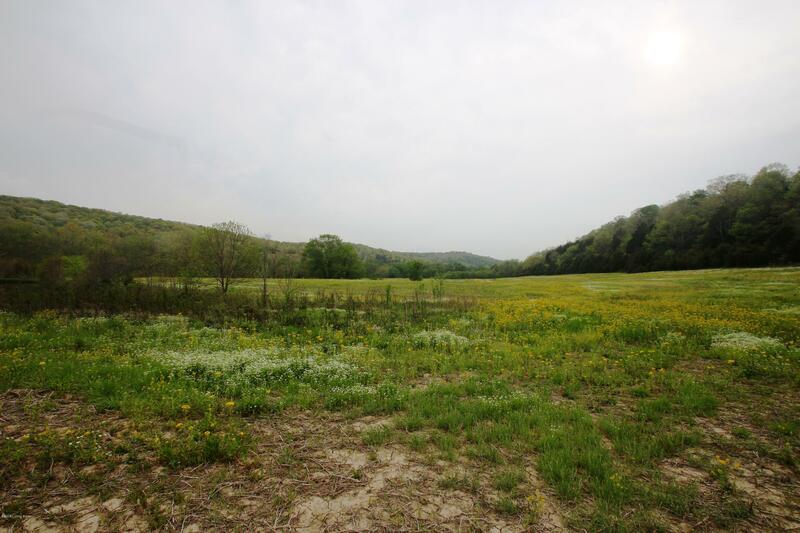 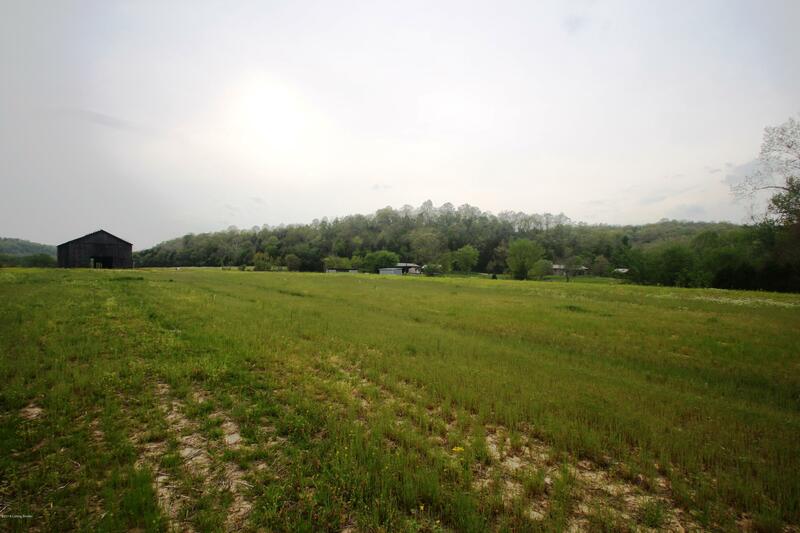 STAKE YOUR CLAIM ON THIS 97.5 ACRES + OR - GRAIN, HUNTING ABUNDANT WILDLIFE AND FISHING FARM!! 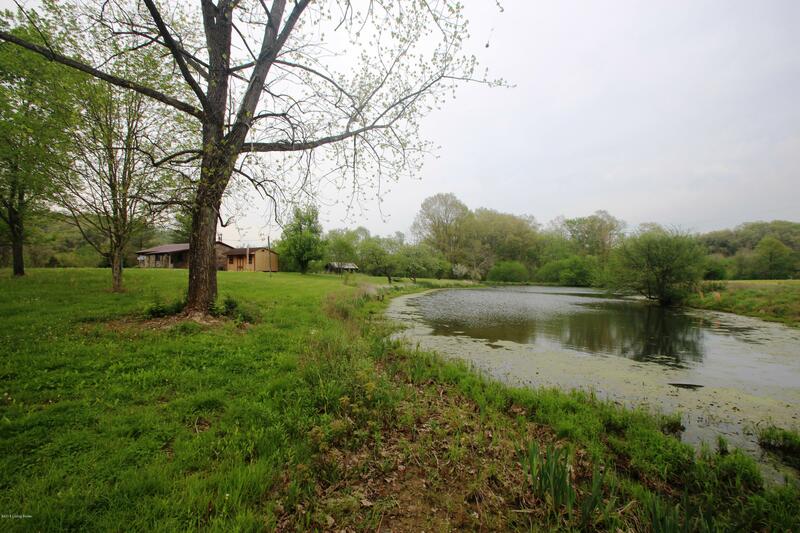 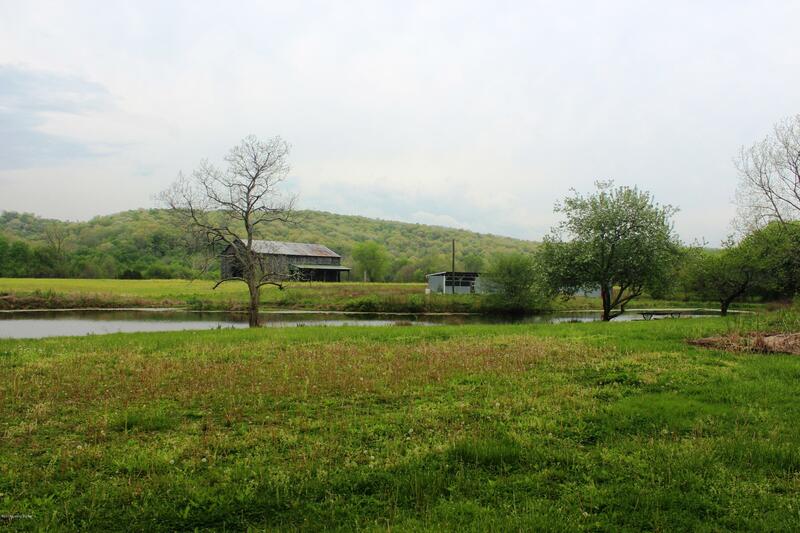 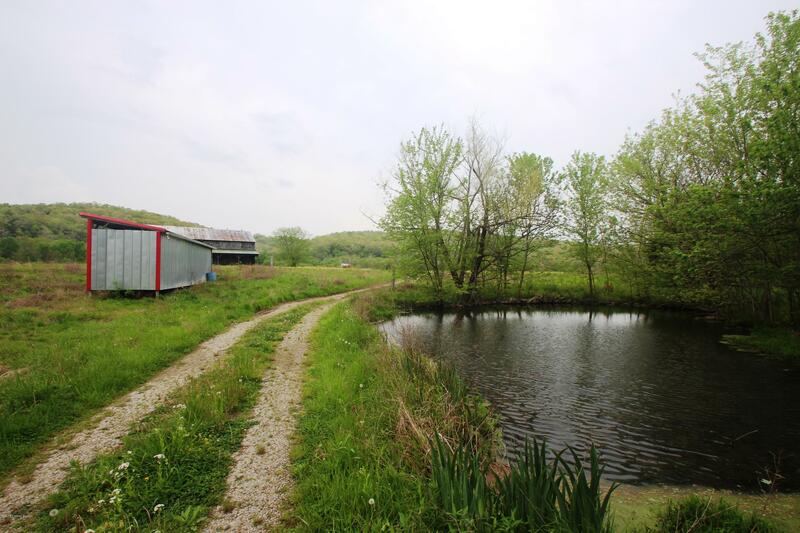 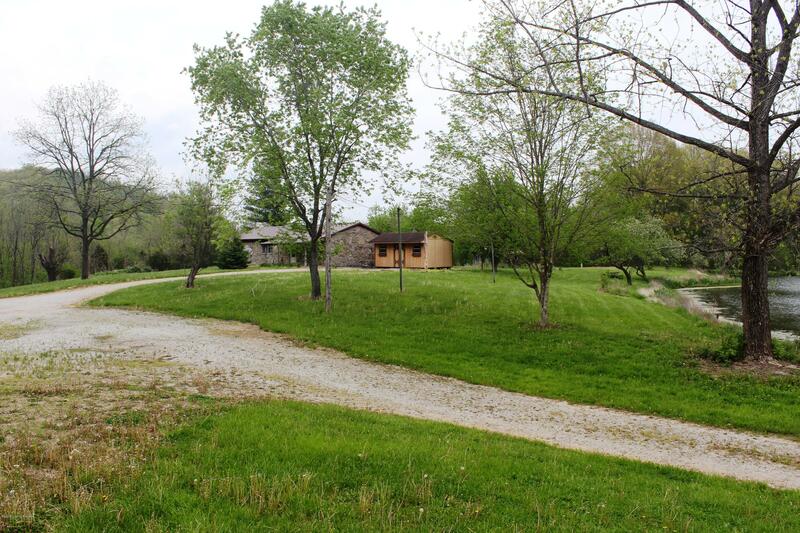 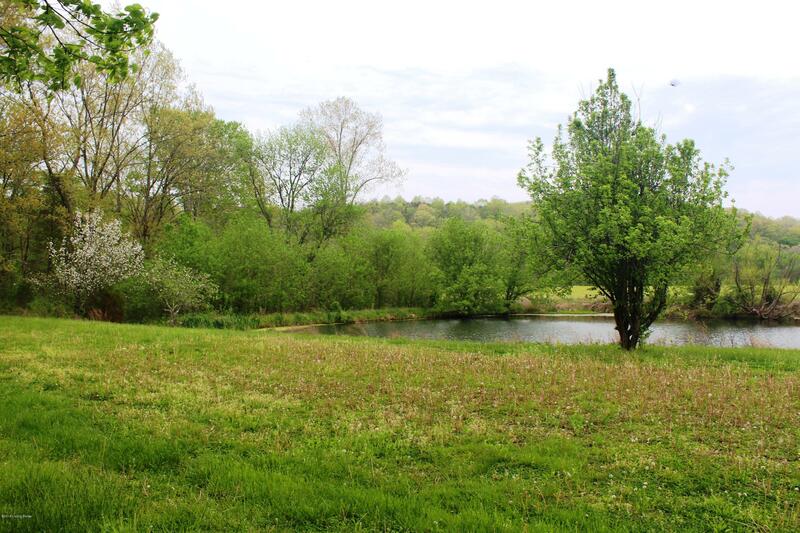 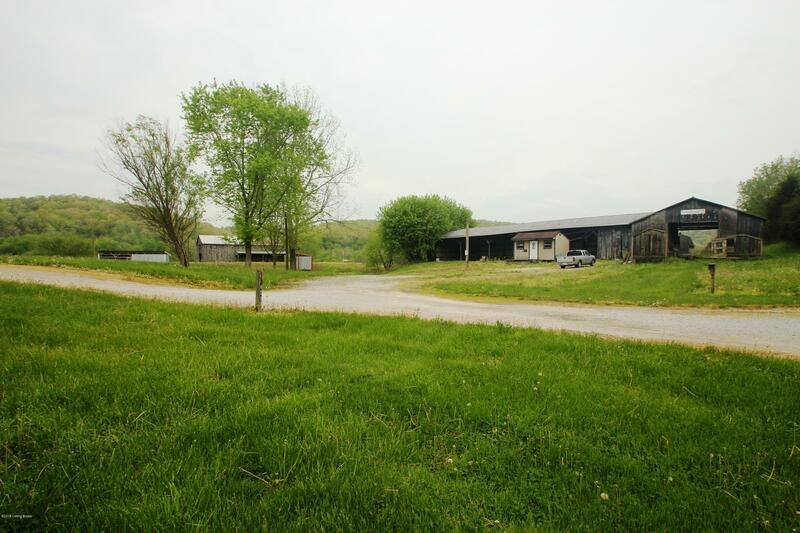 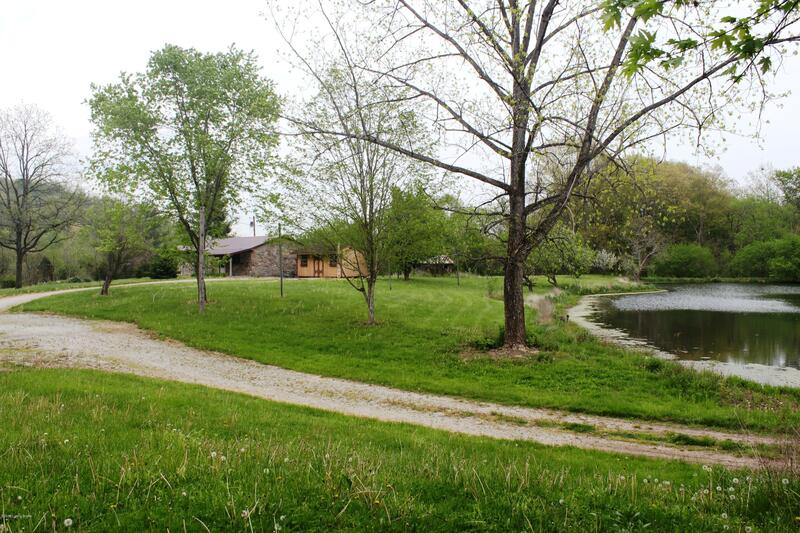 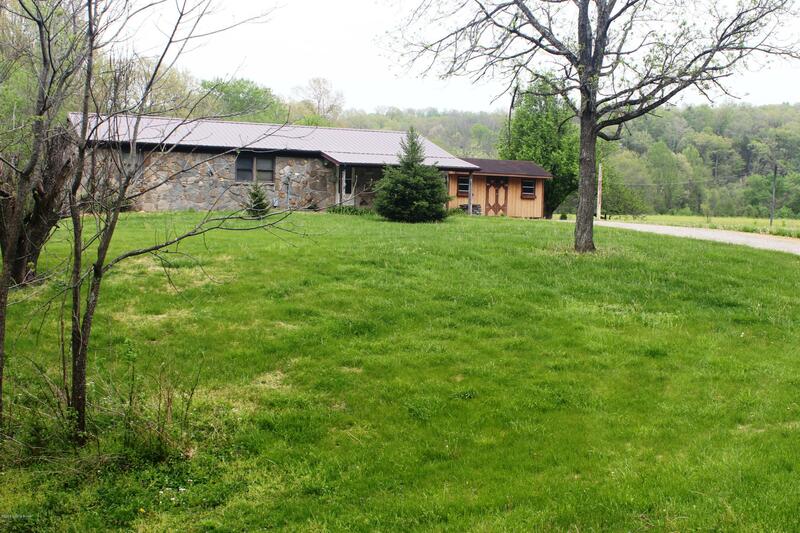 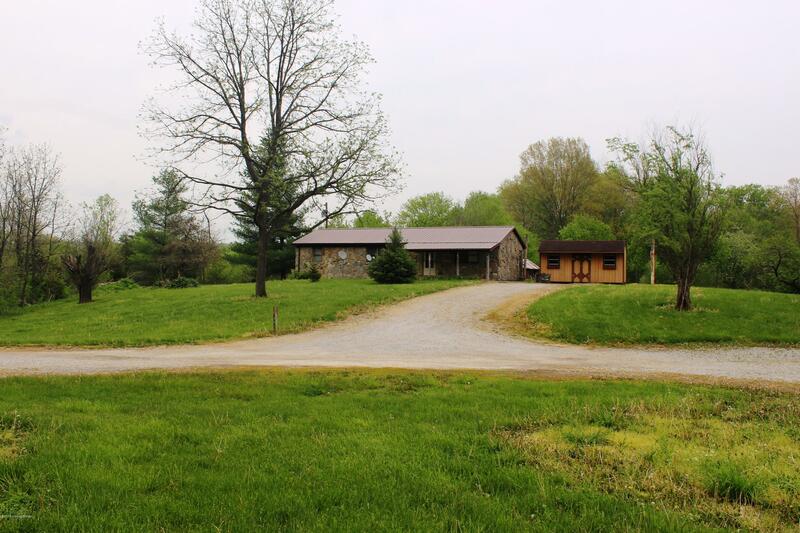 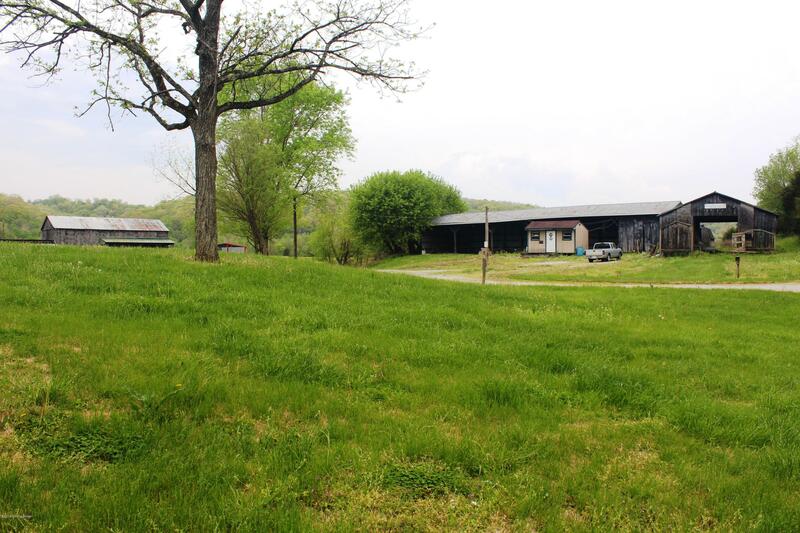 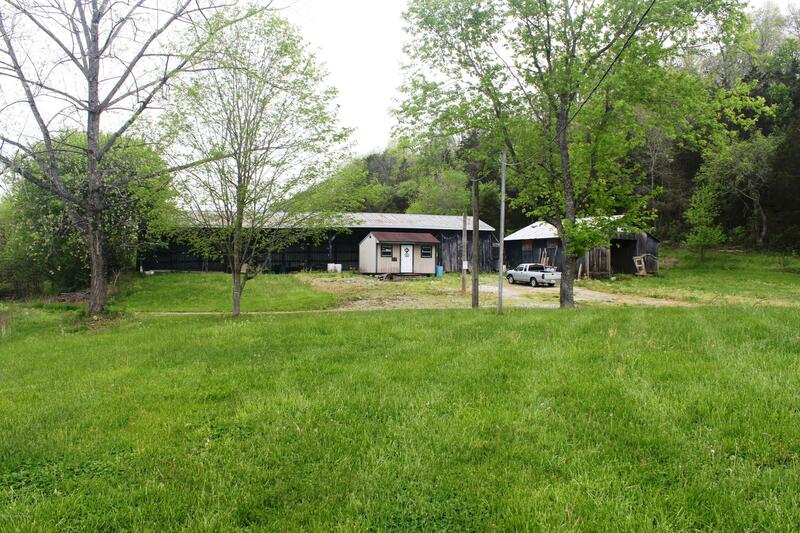 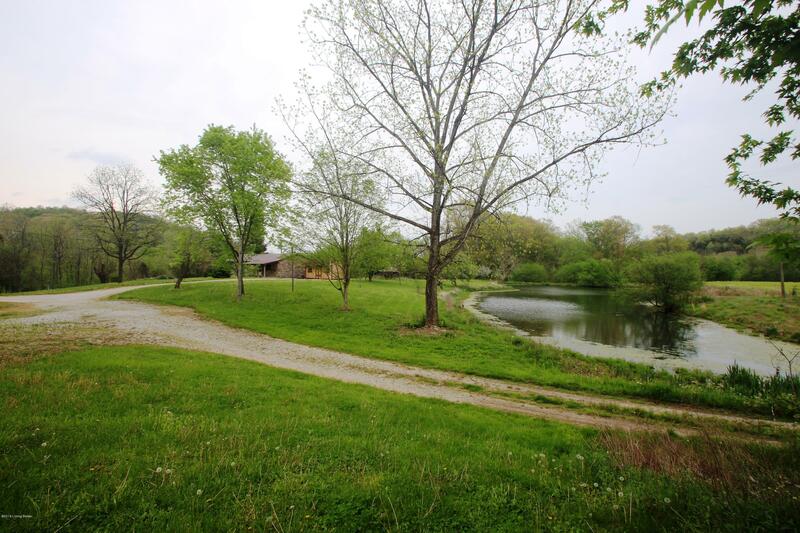 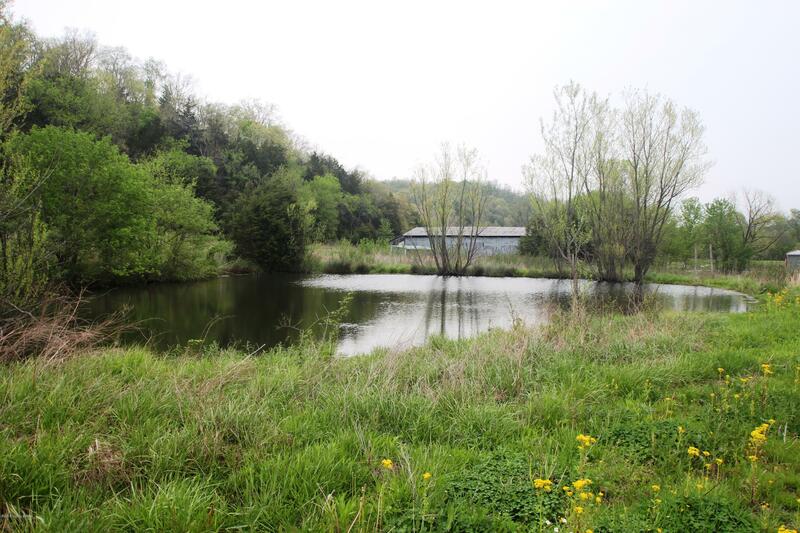 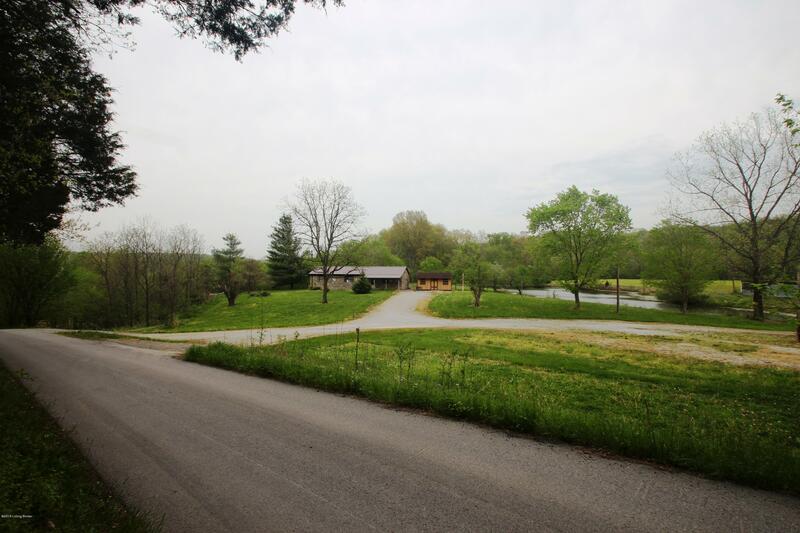 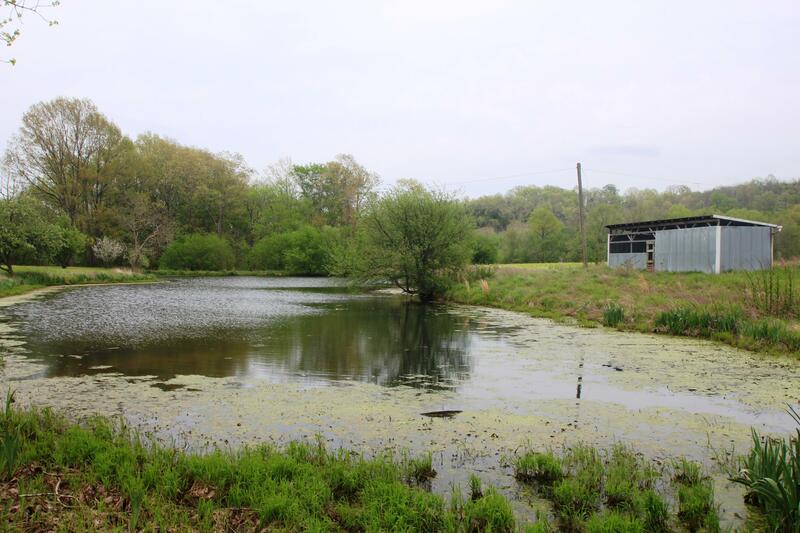 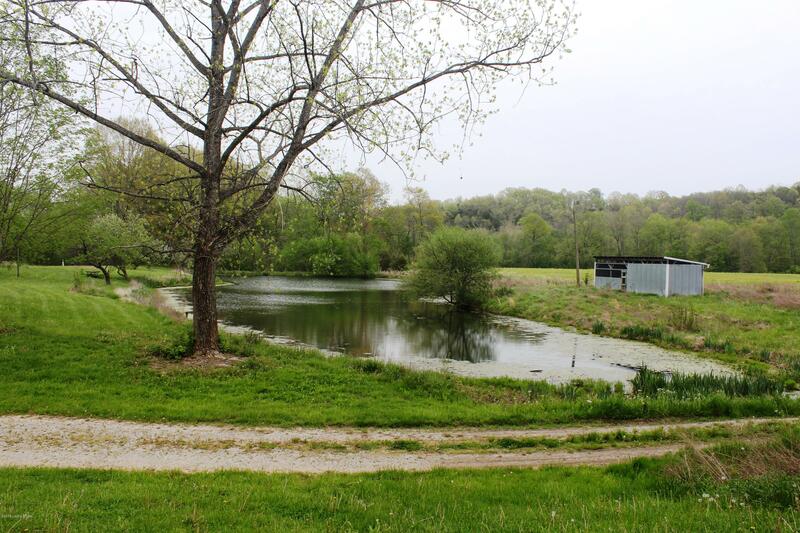 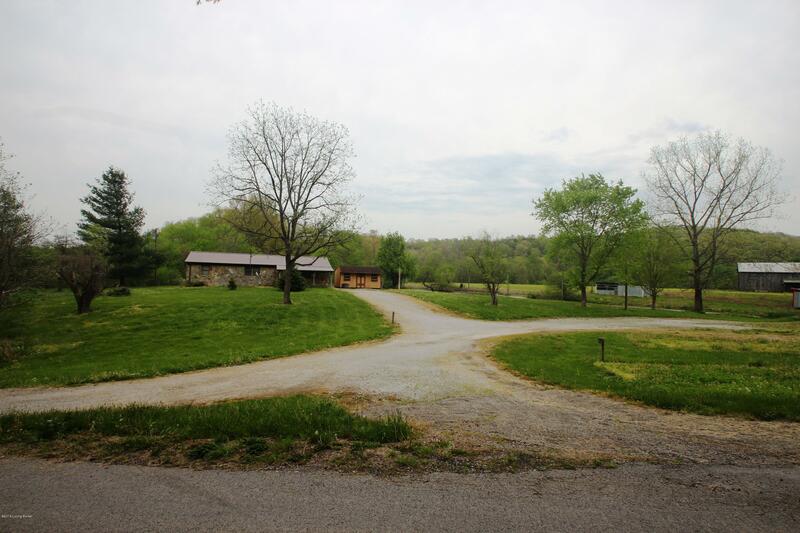 This private farm is a working farm, a hunters and fisherman dream come true. 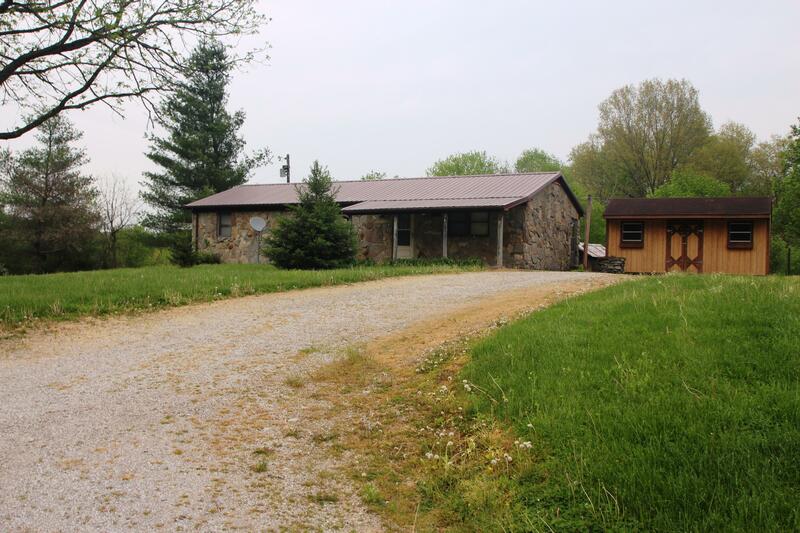 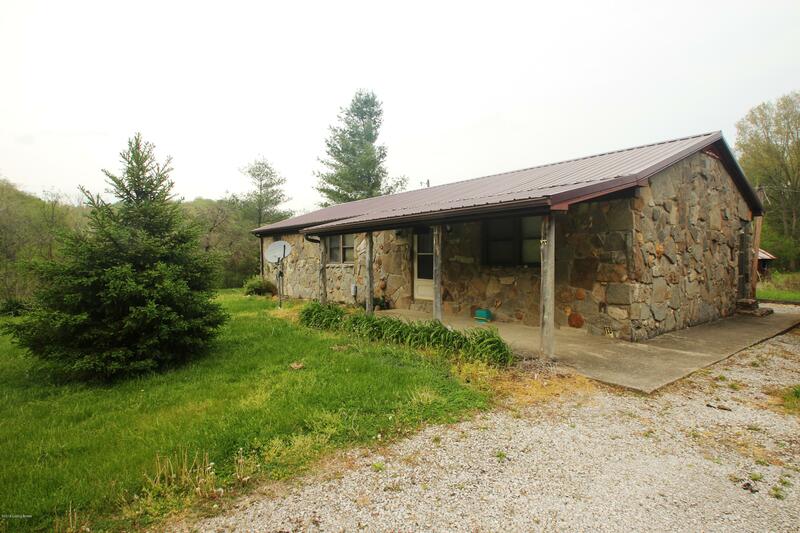 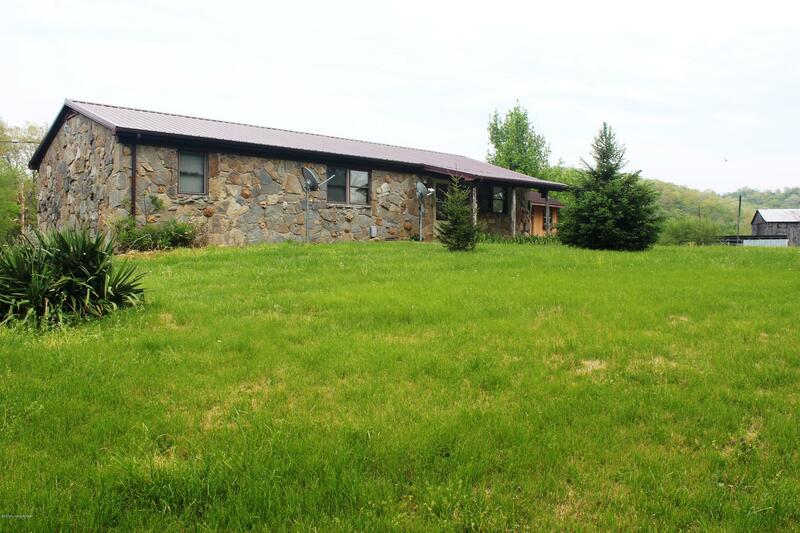 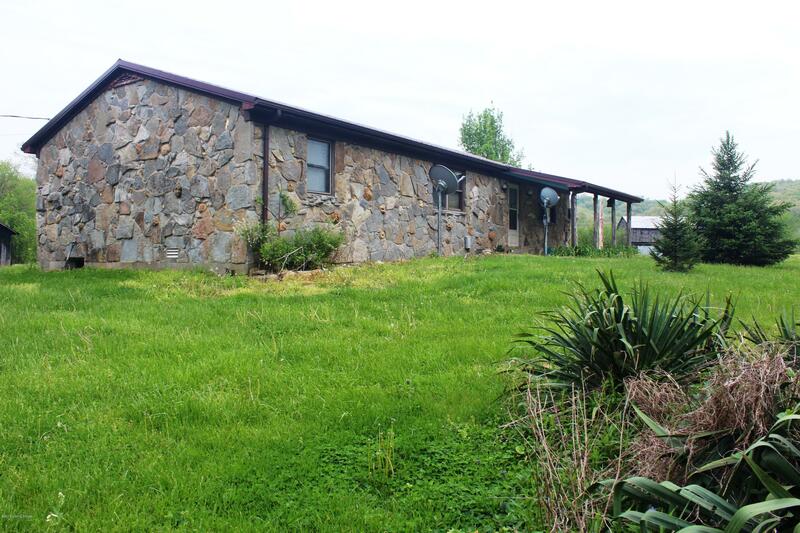 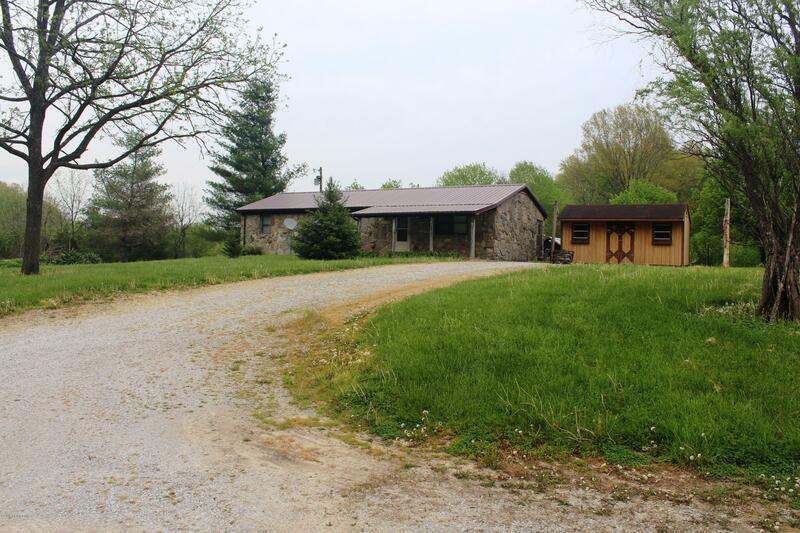 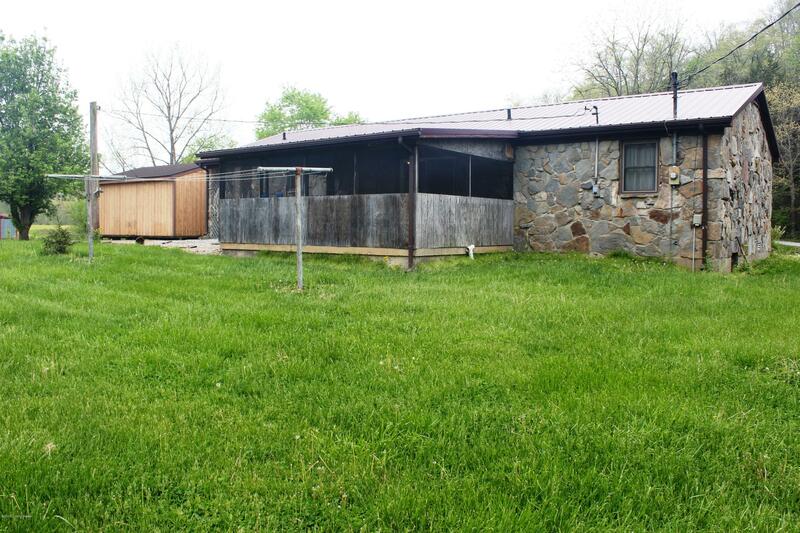 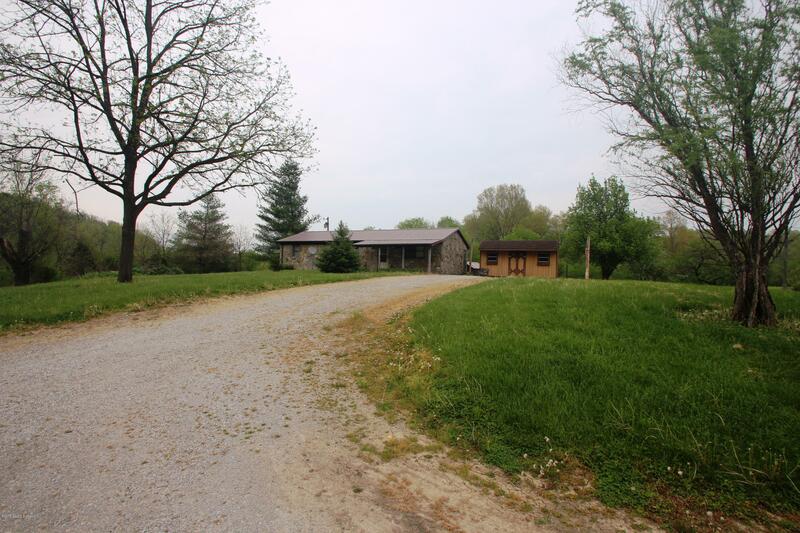 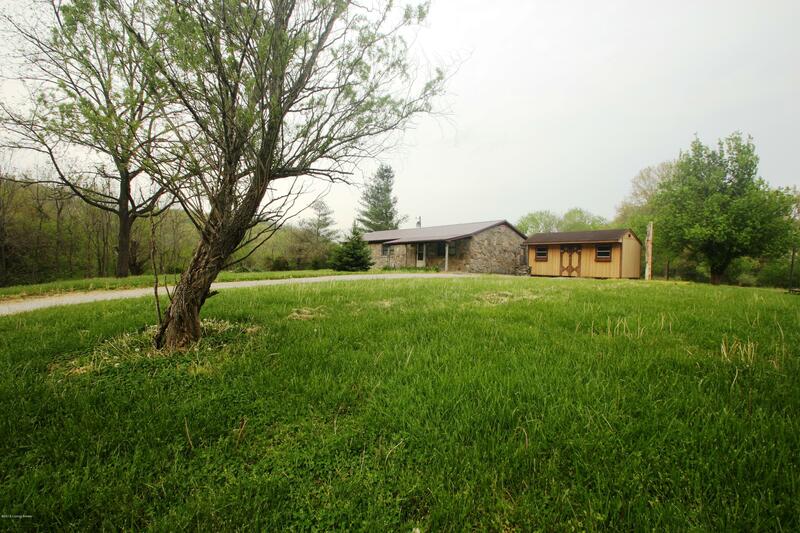 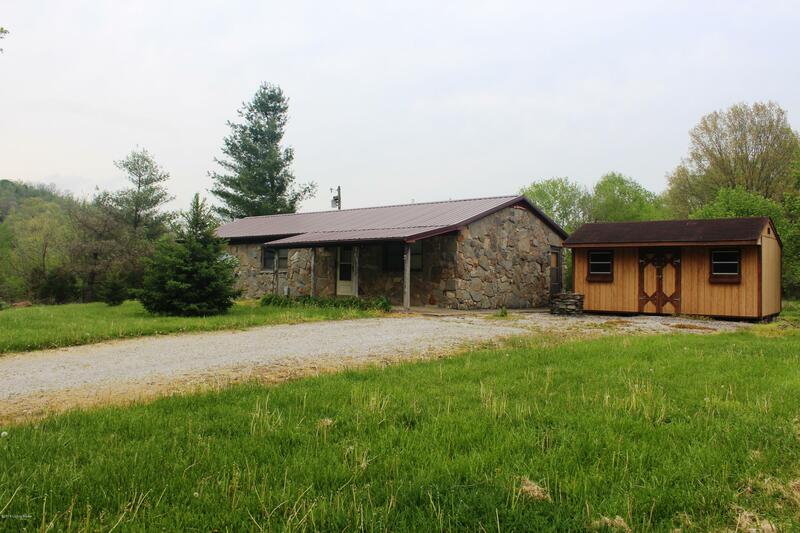 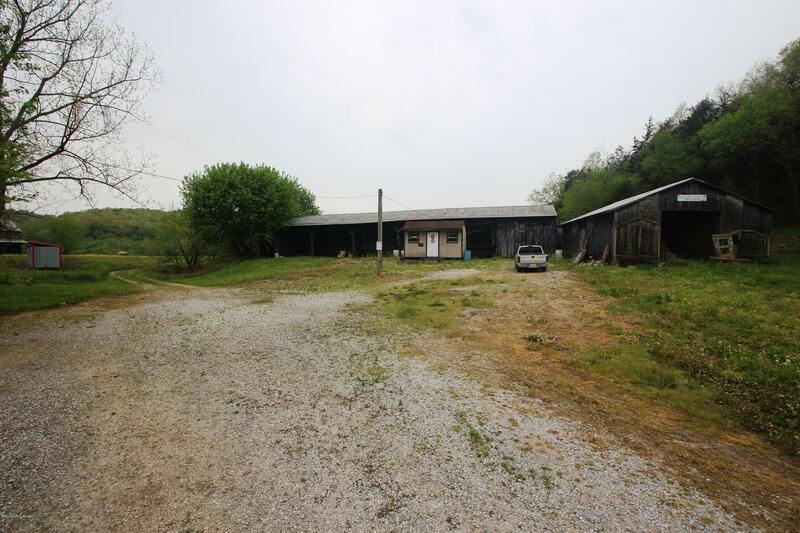 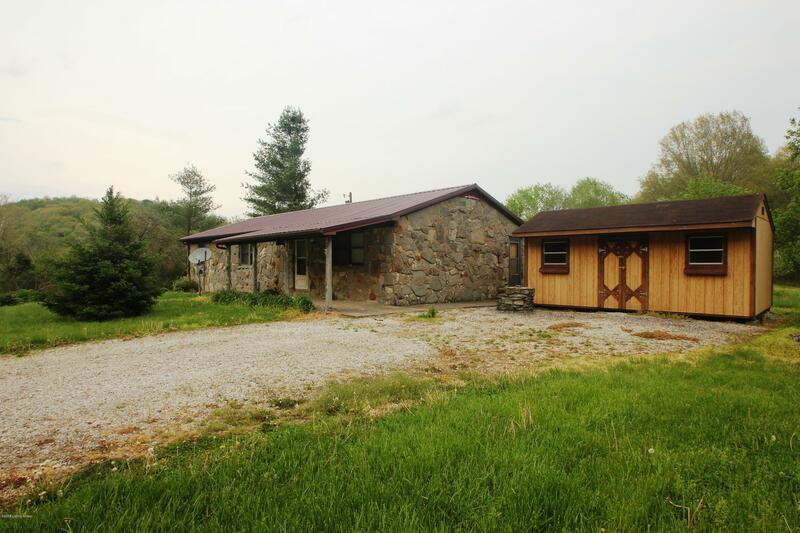 Farm has a very nice 3 bedroom and 2 full bath home with several buildings/barns, corn crib, meat house and an office on the property. 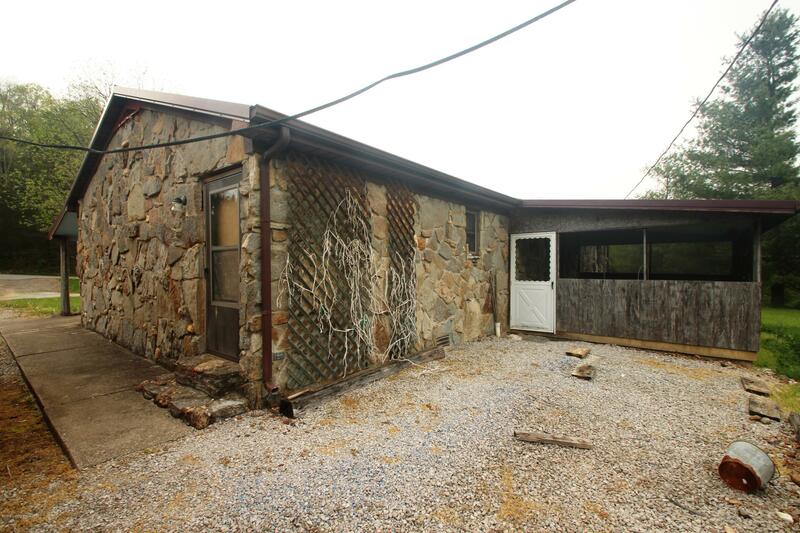 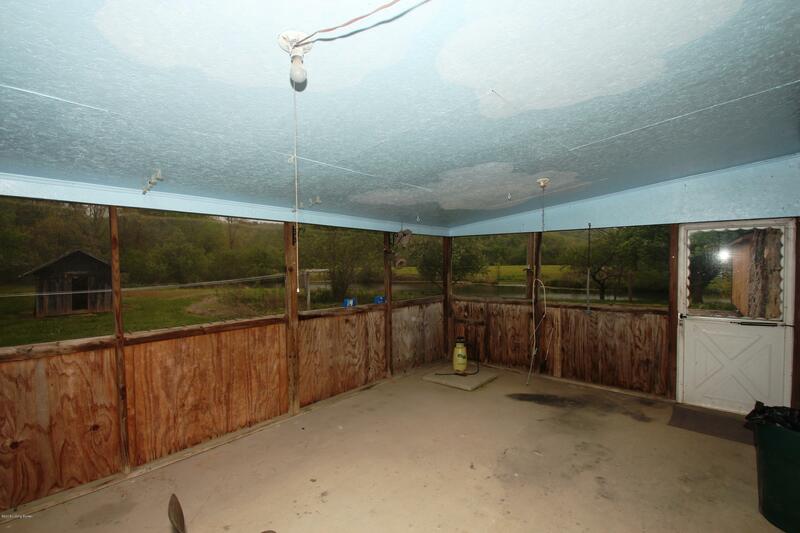 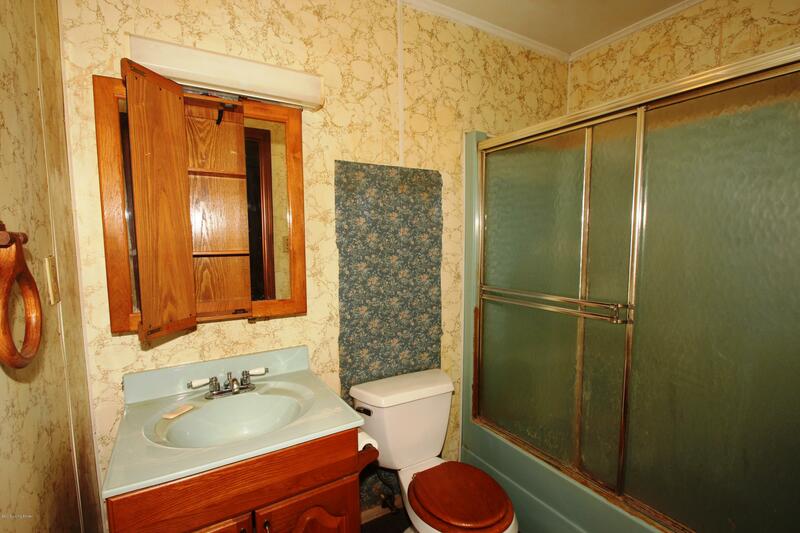 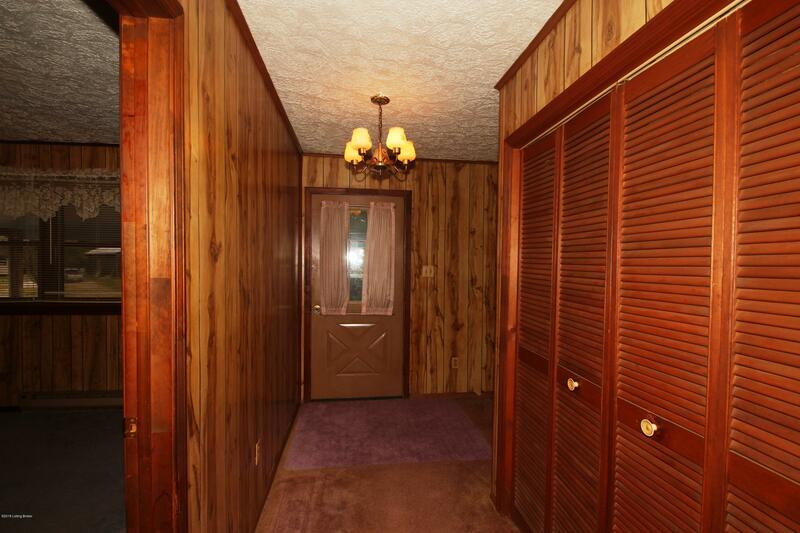 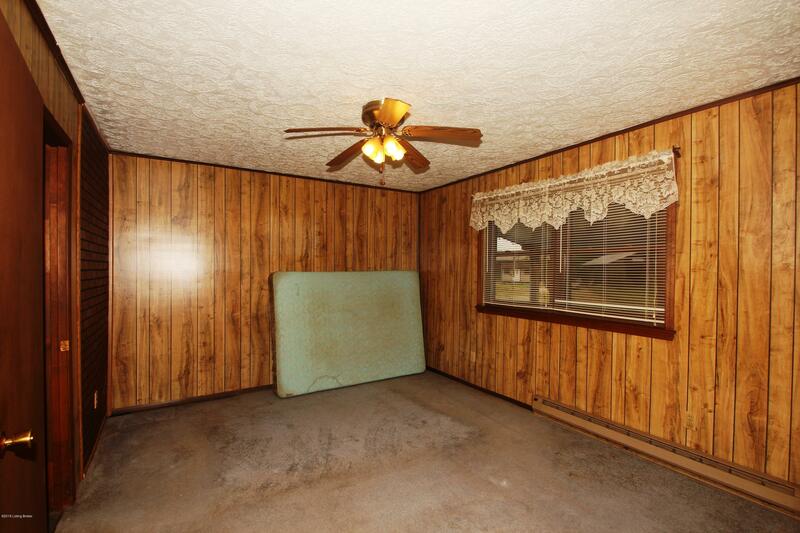 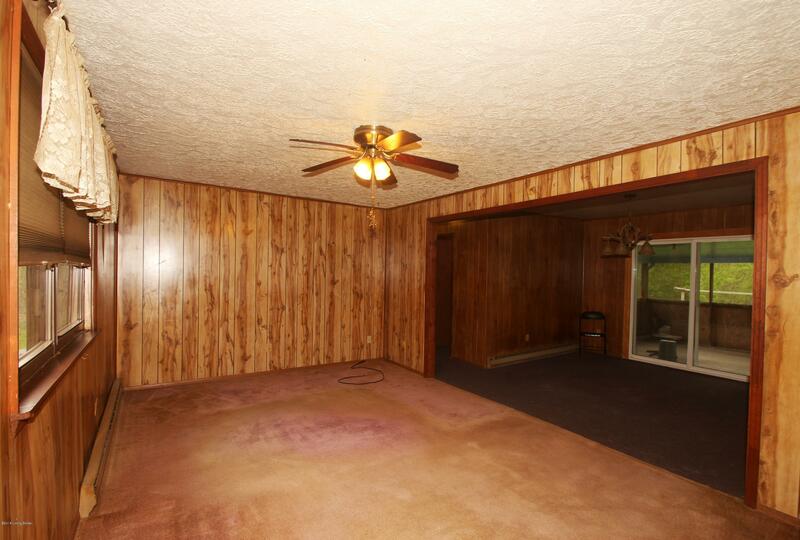 Delightful home has a enclosed fence in back porch with a beautiful view of the surroundings. 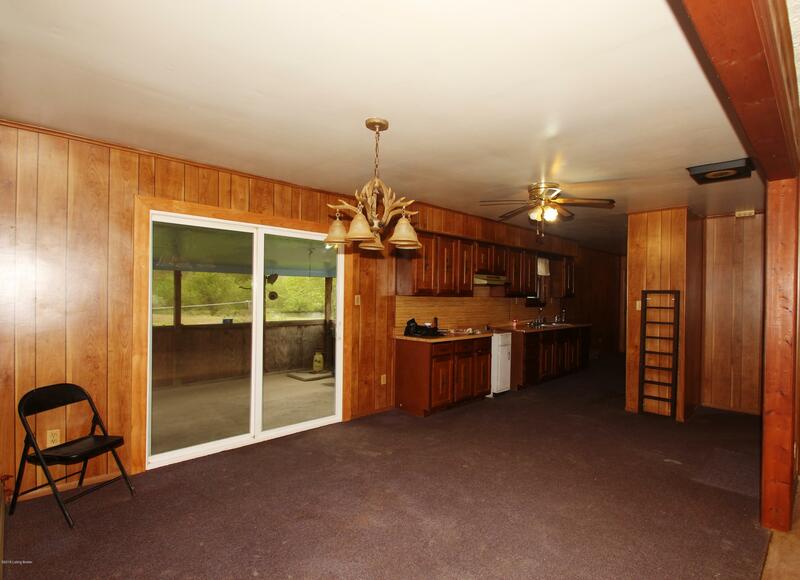 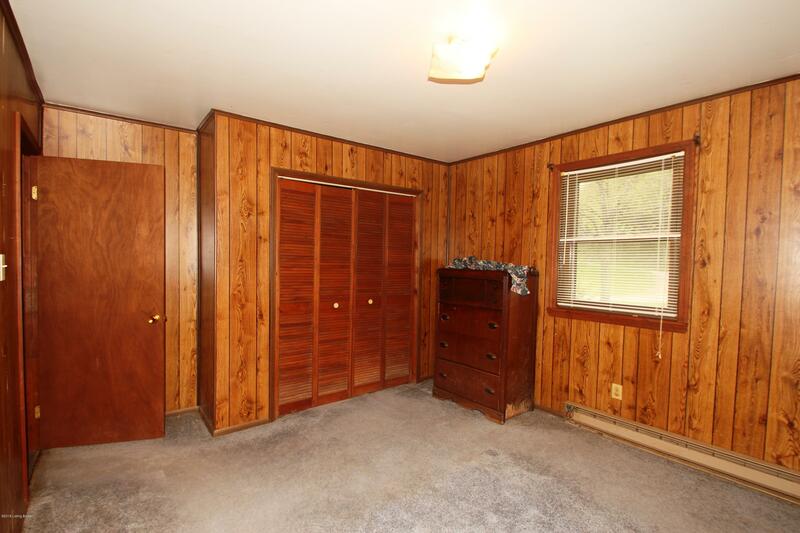 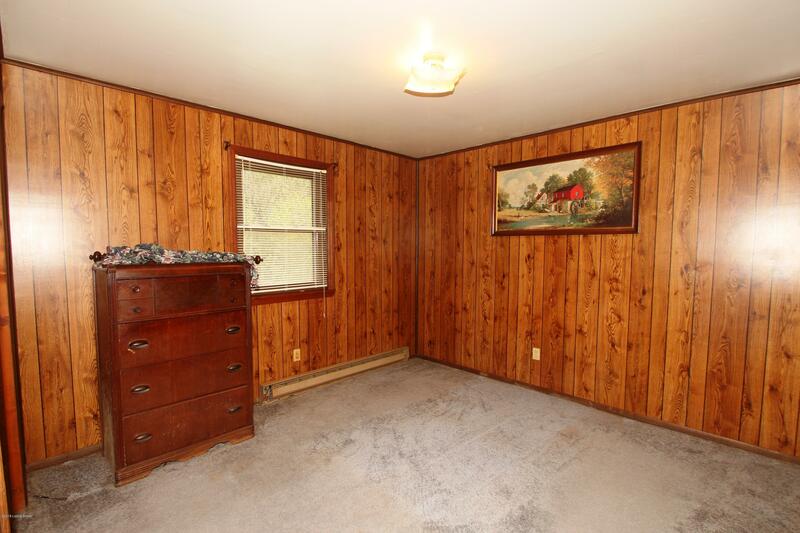 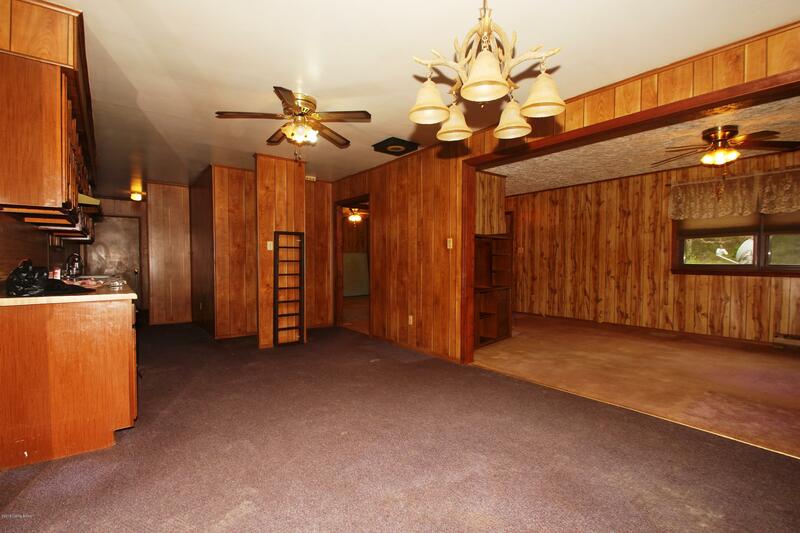 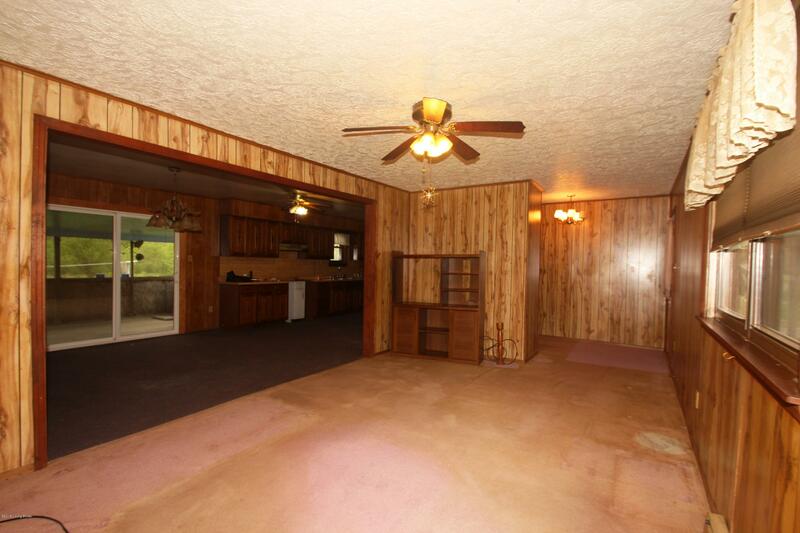 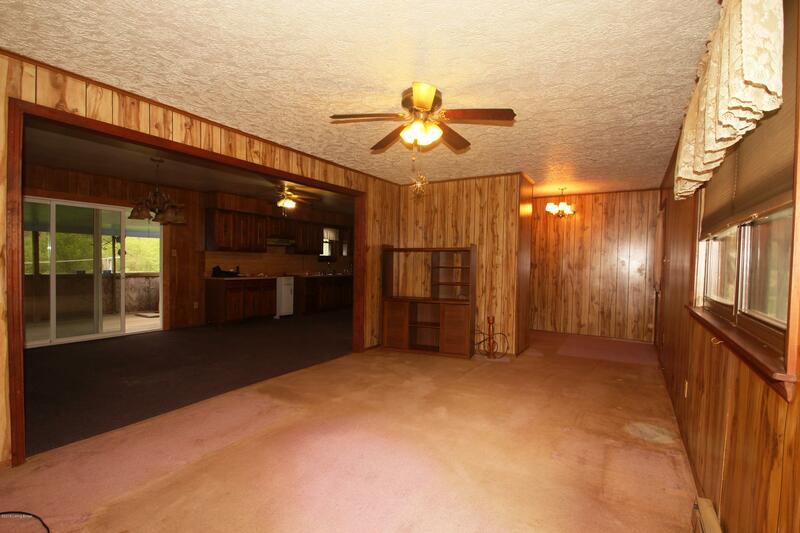 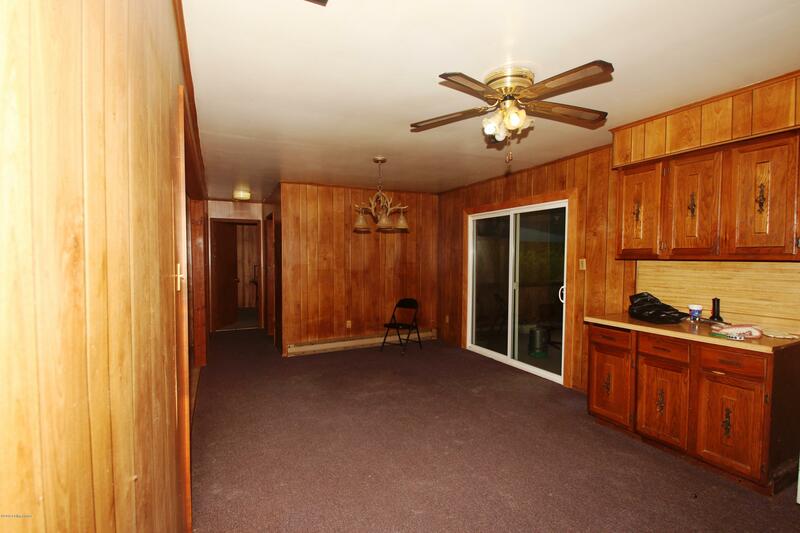 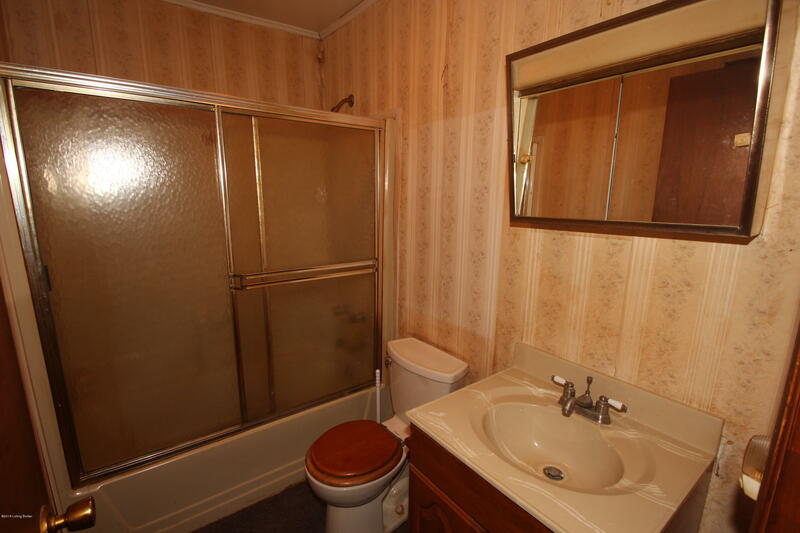 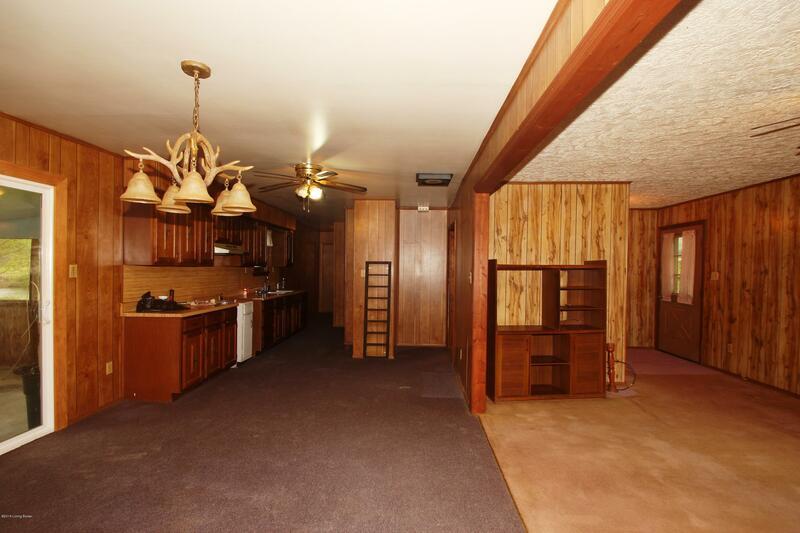 Large eat in kitchen, 3 nice size bedrooms and 2 full baths. 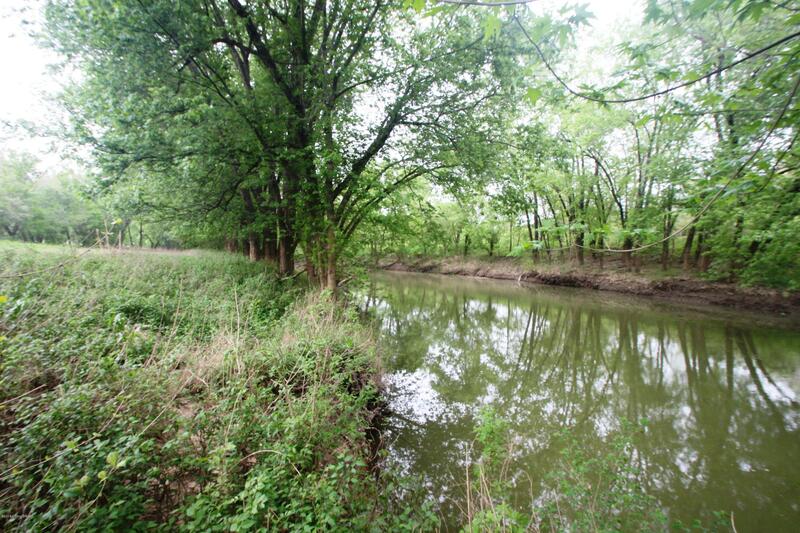 Over a mile of road frontage along six mile creek. 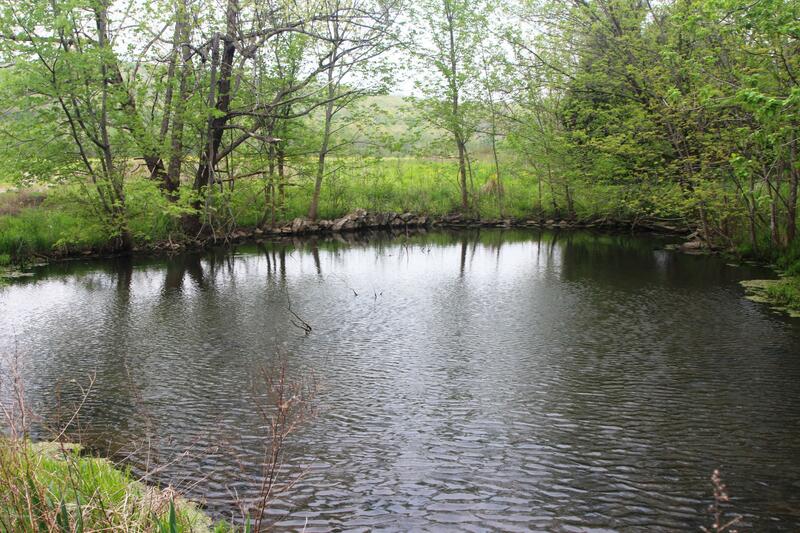 In addition to the creek for fishing there are 3 nice size ponds and one lake. 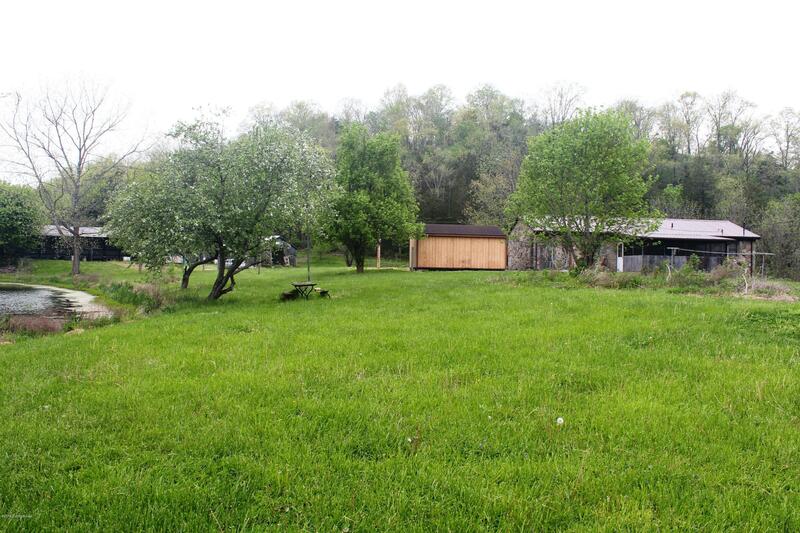 Some fruit trees and the farm is presently leased for grain farming, too. 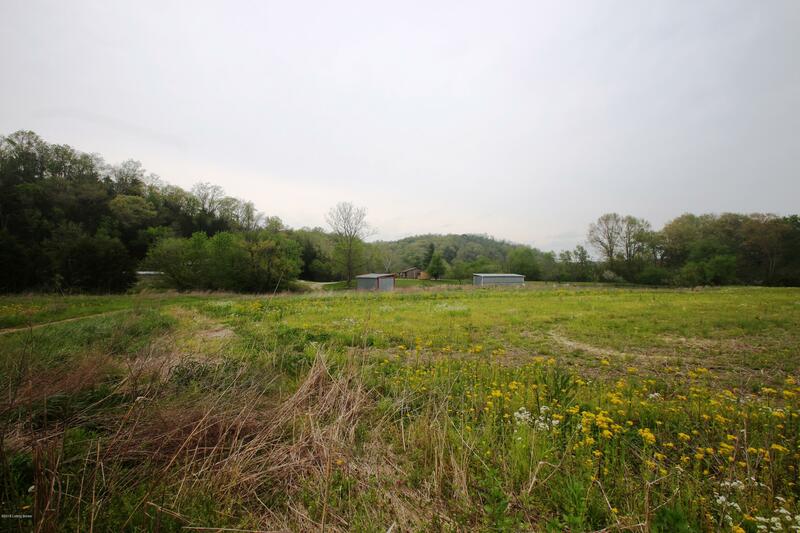 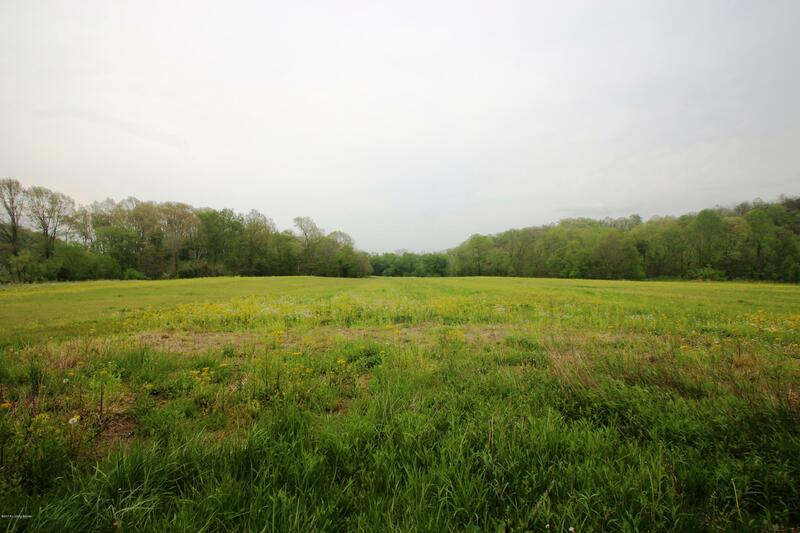 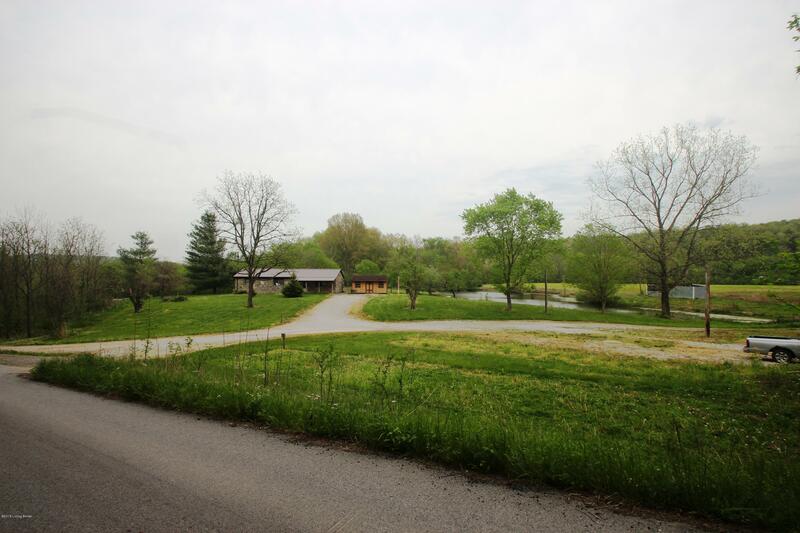 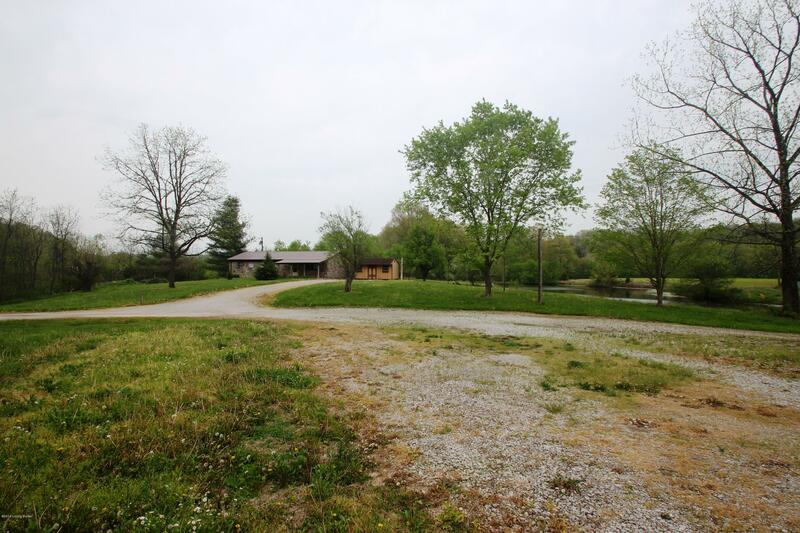 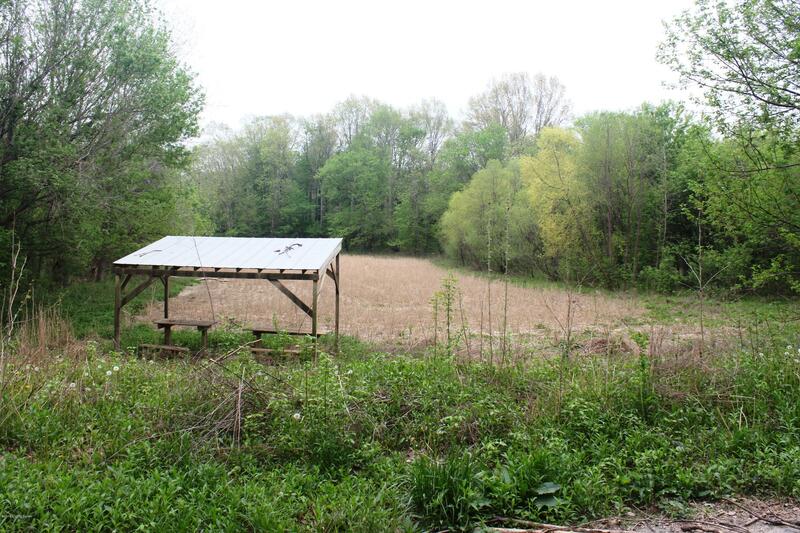 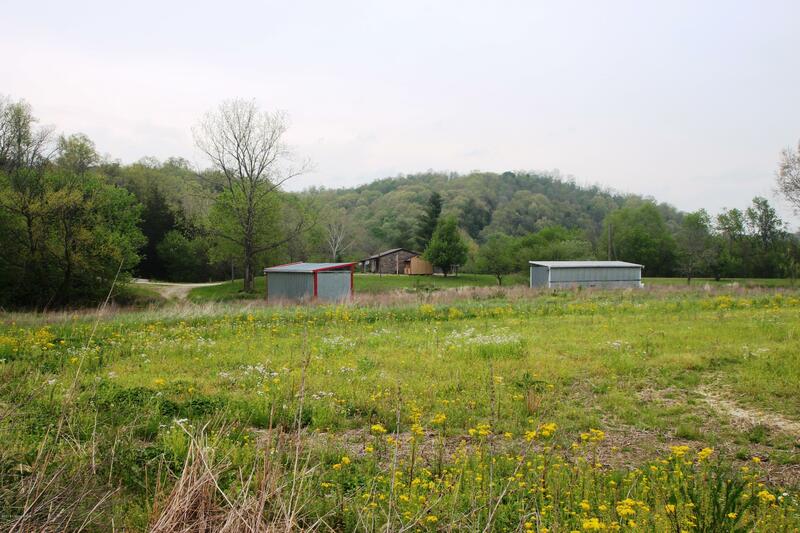 Wooded area on farm and other areas of farm have Deer, turkey, quail and all kinds of wildlife for hunting.